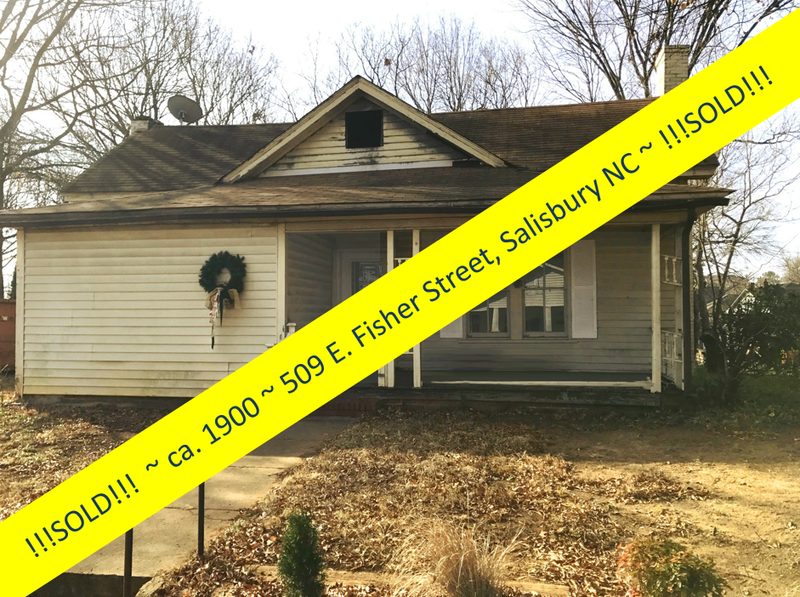 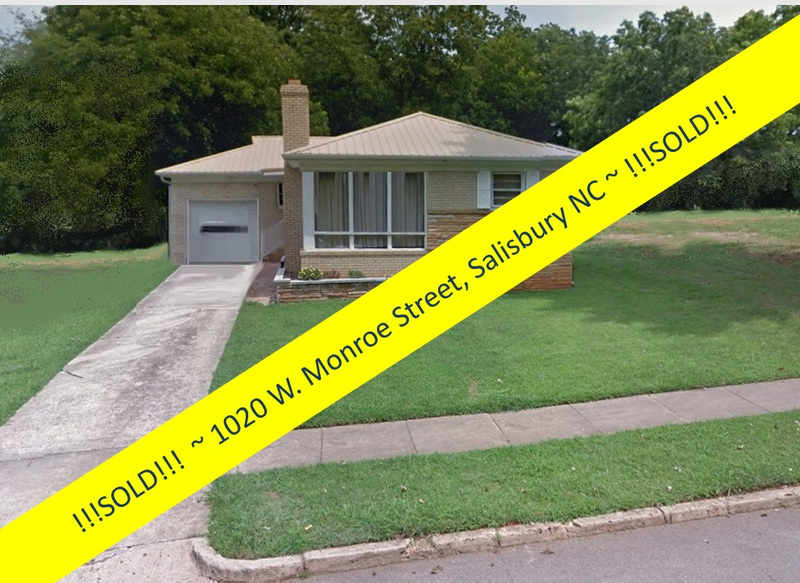 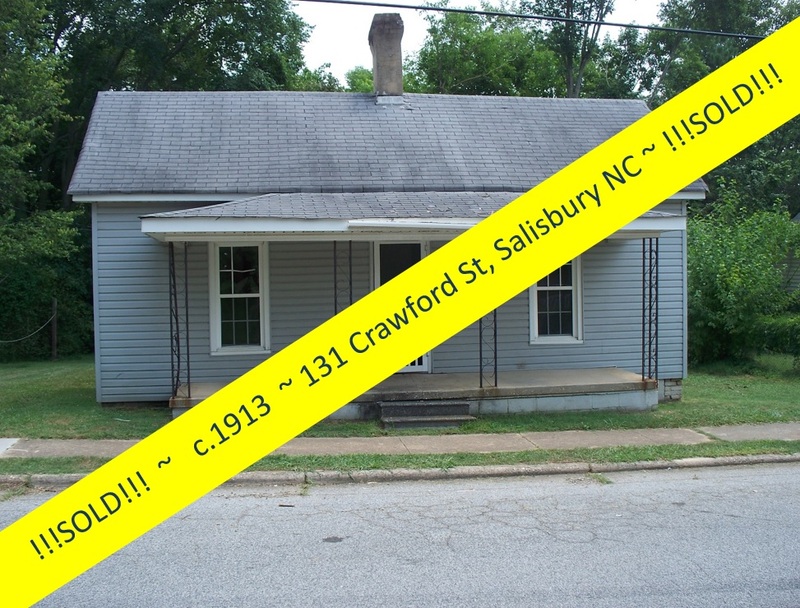 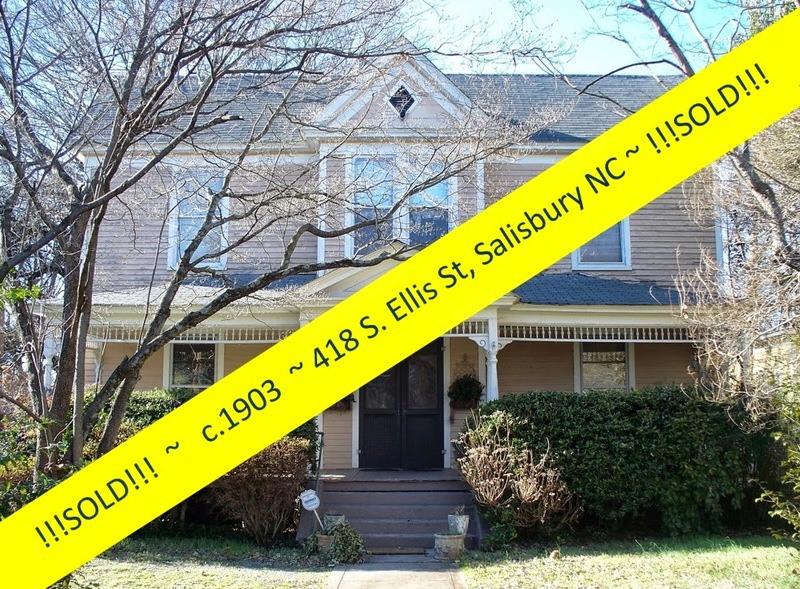 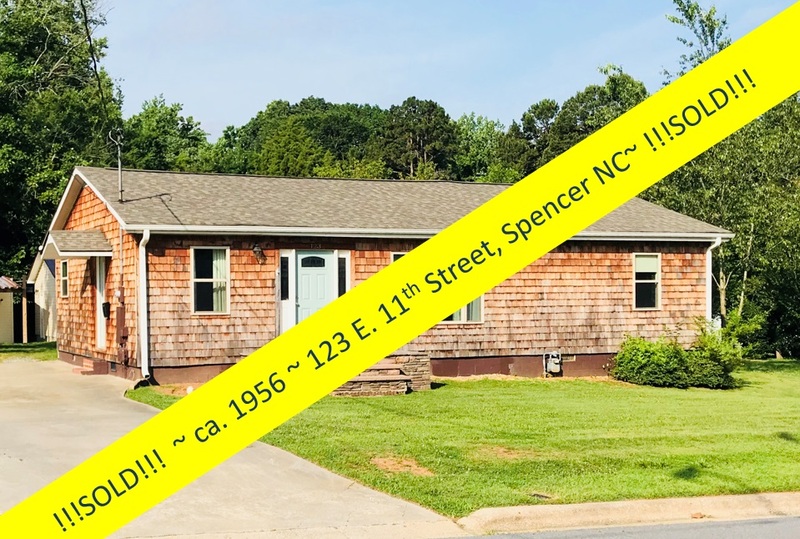 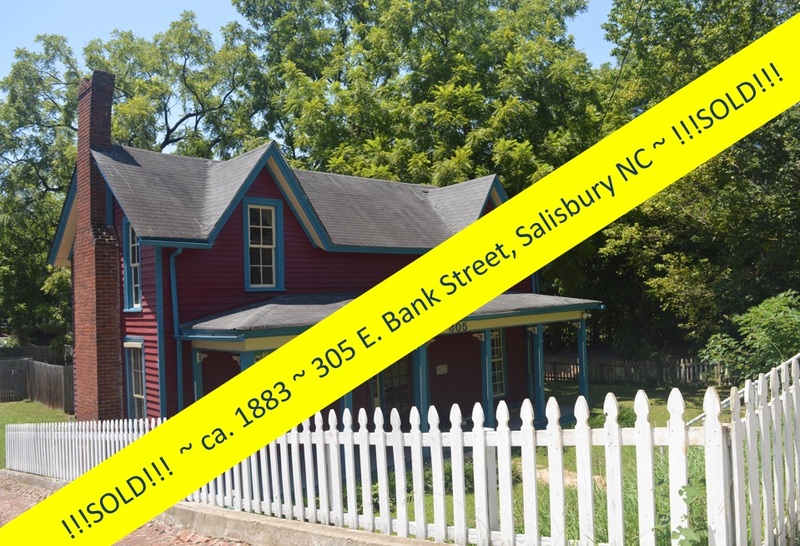 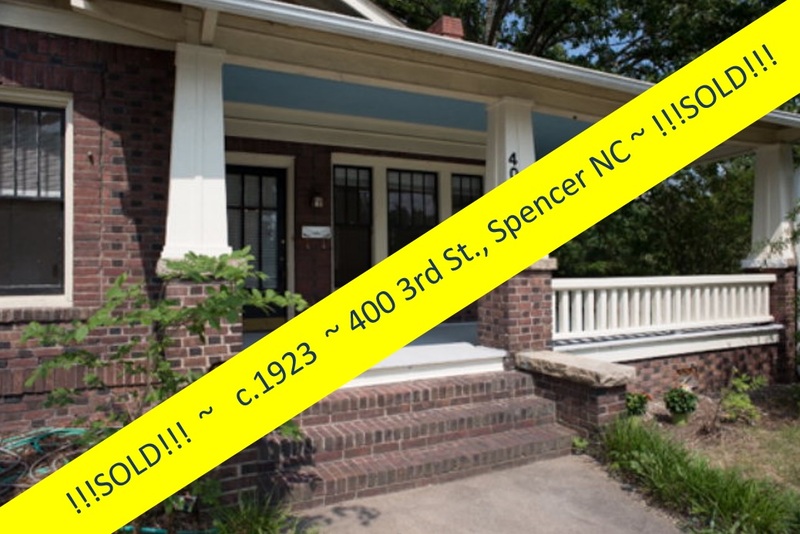 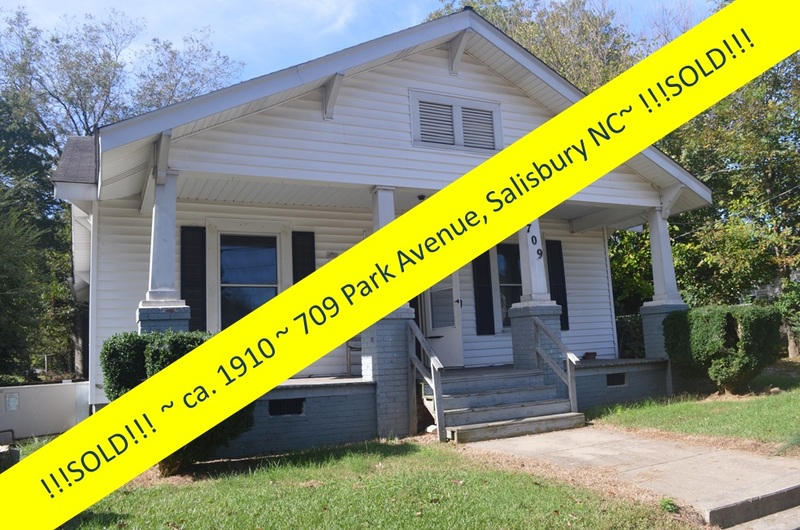 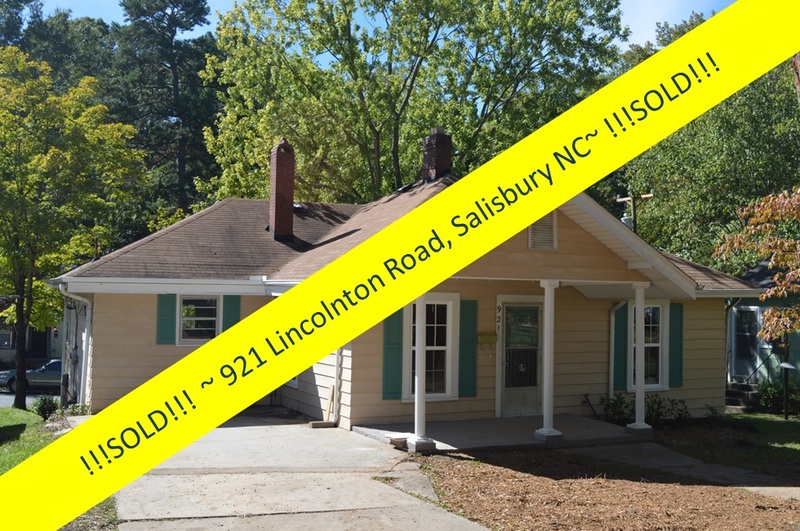 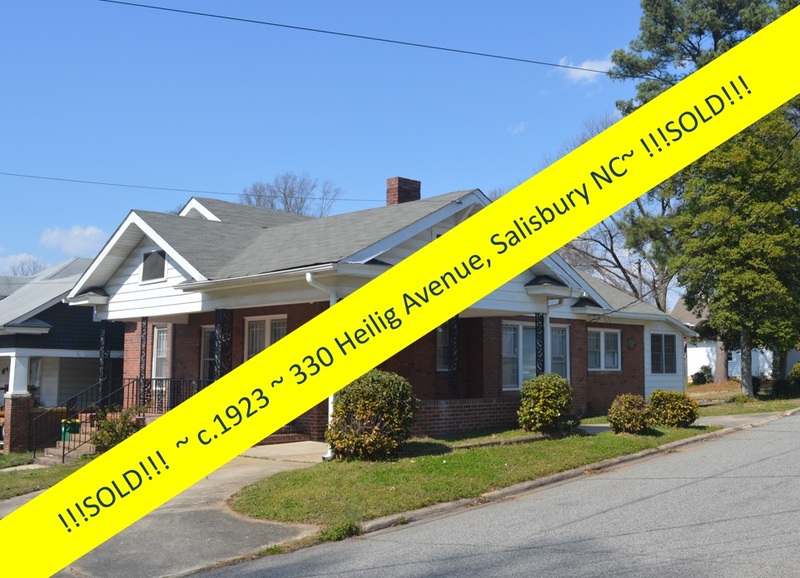 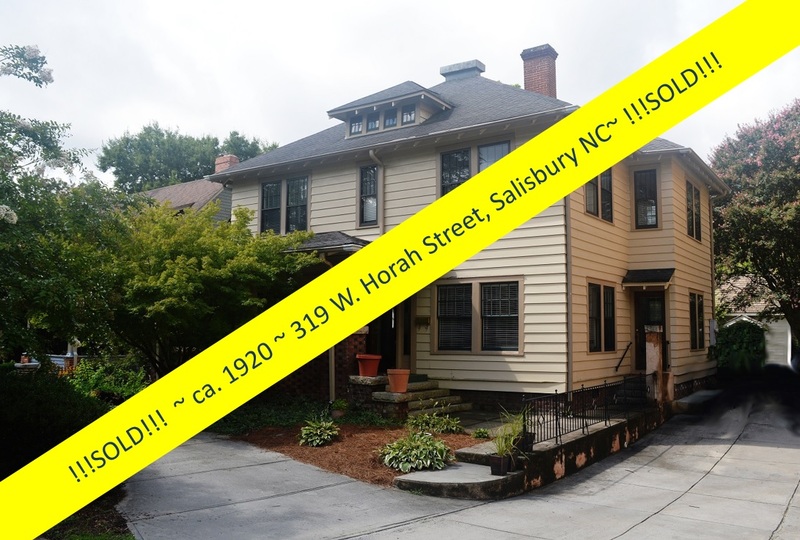 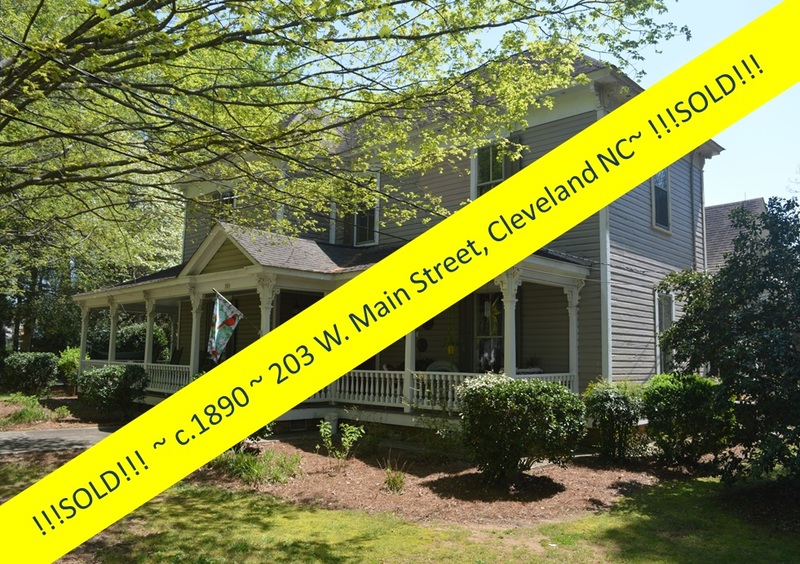 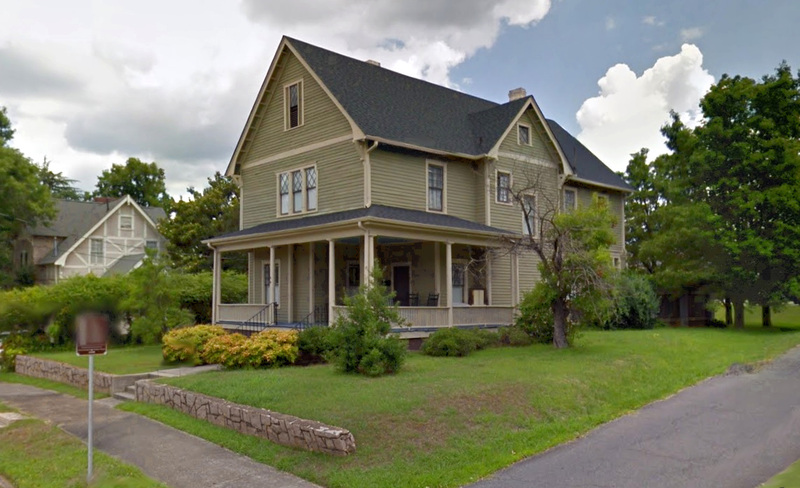 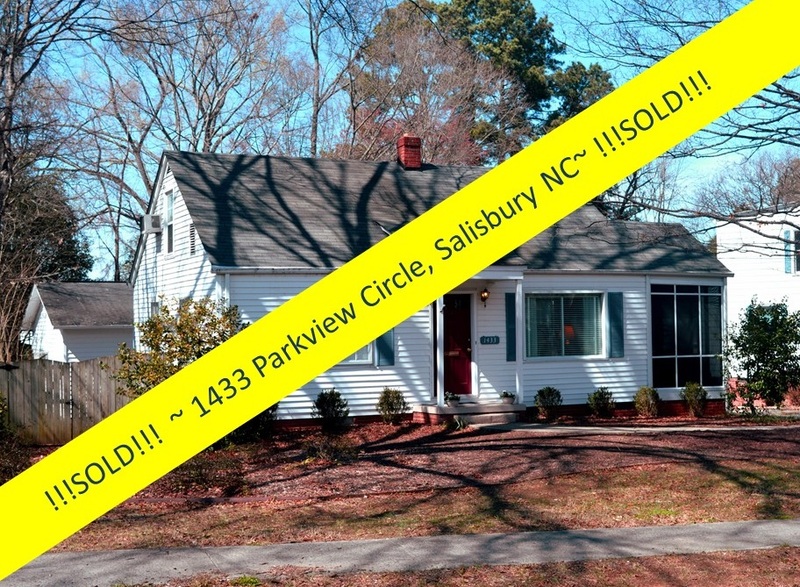 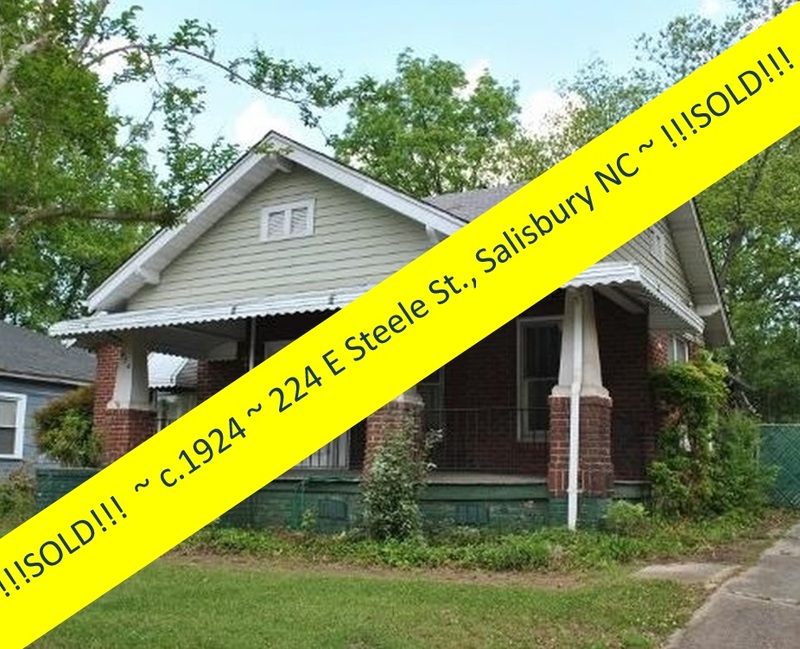 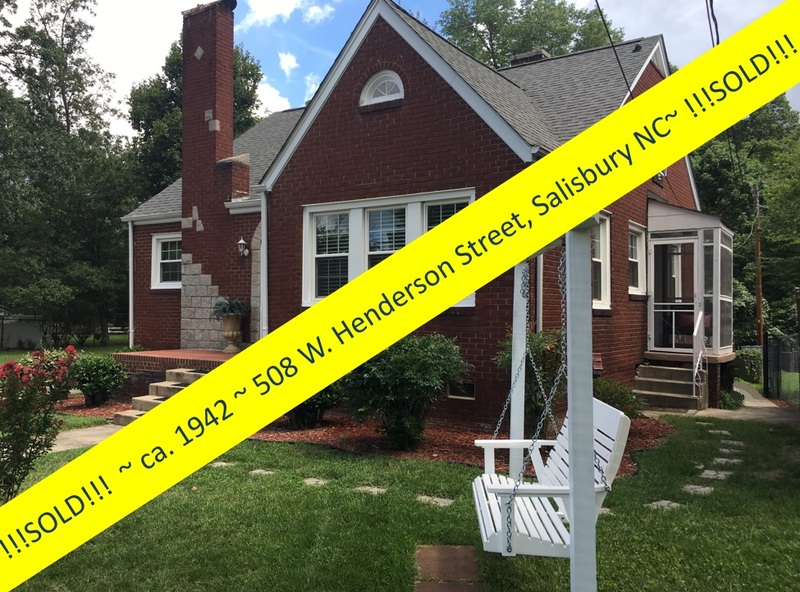 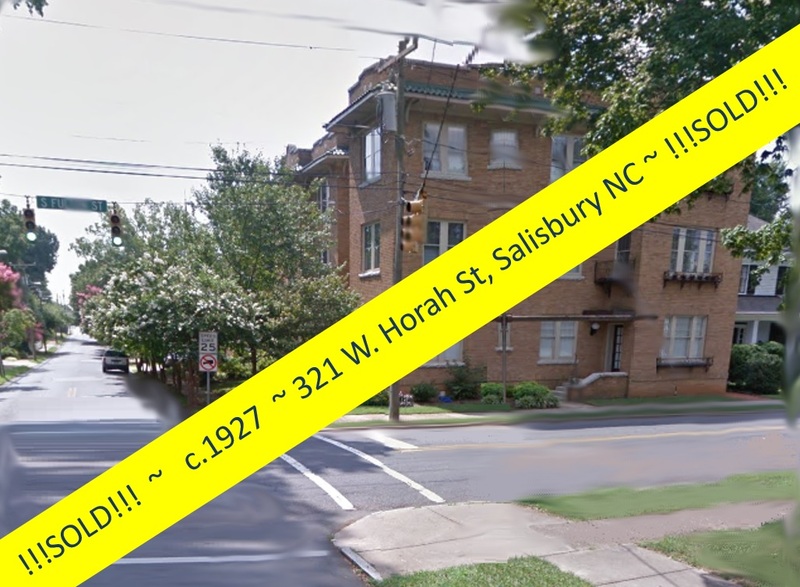 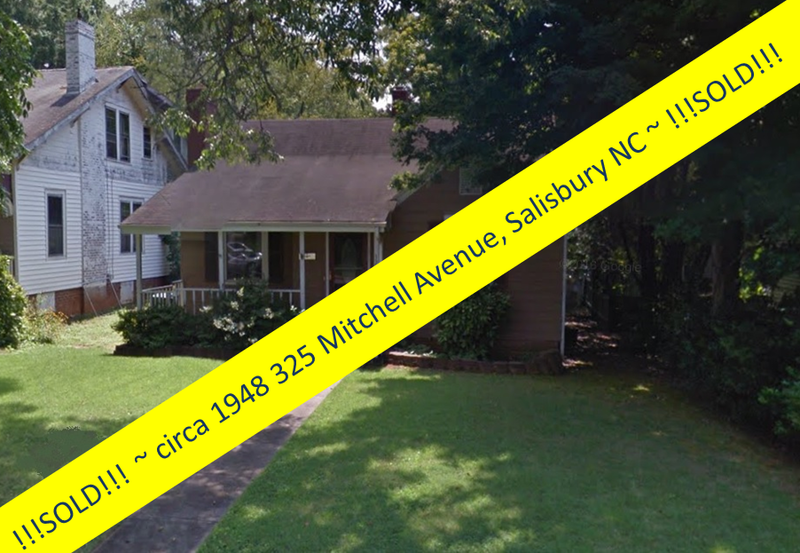 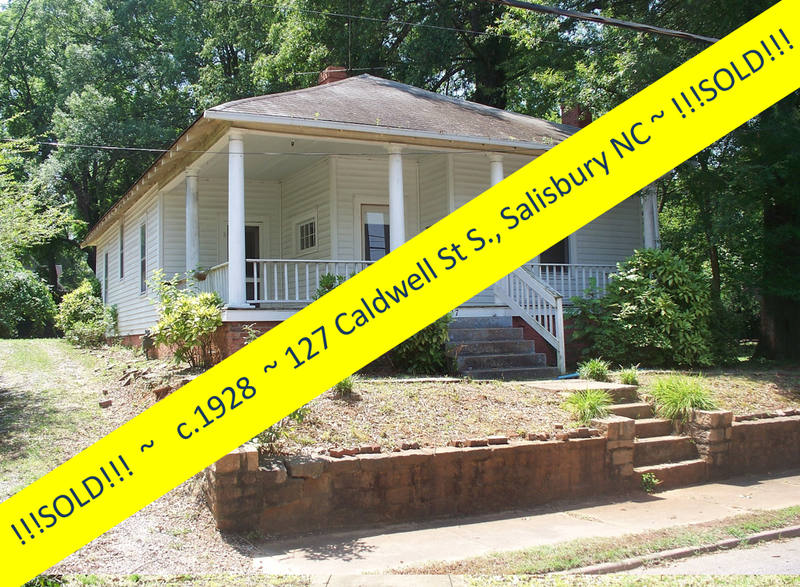 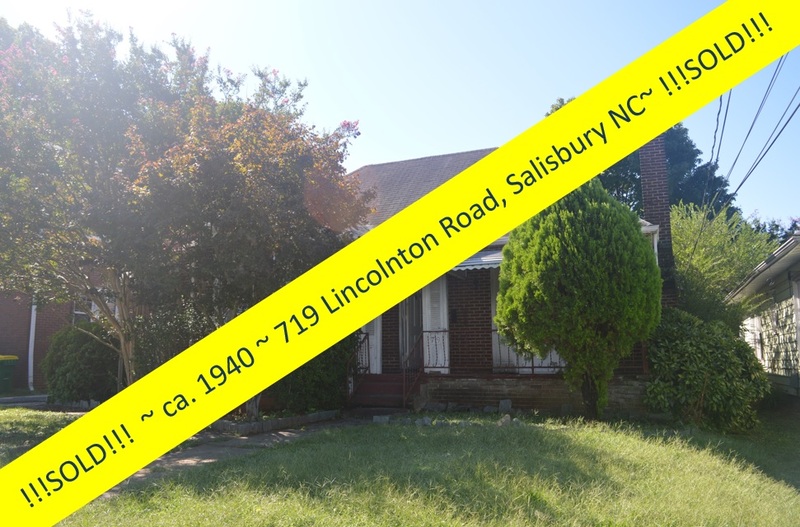 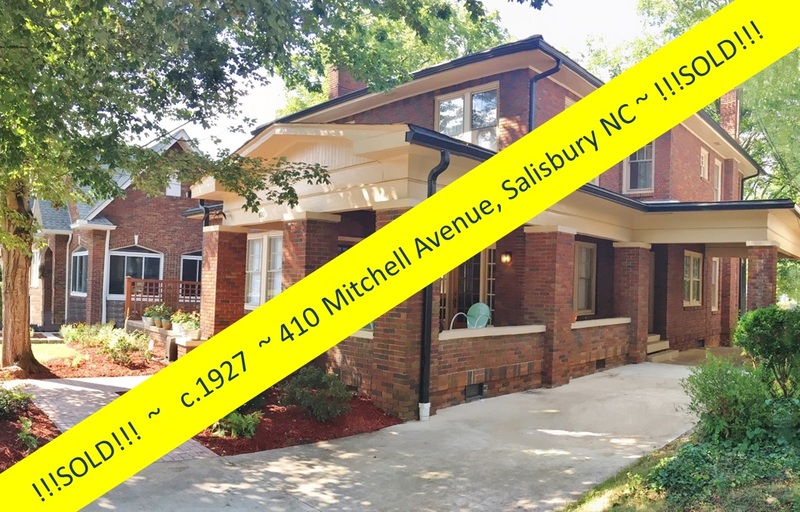 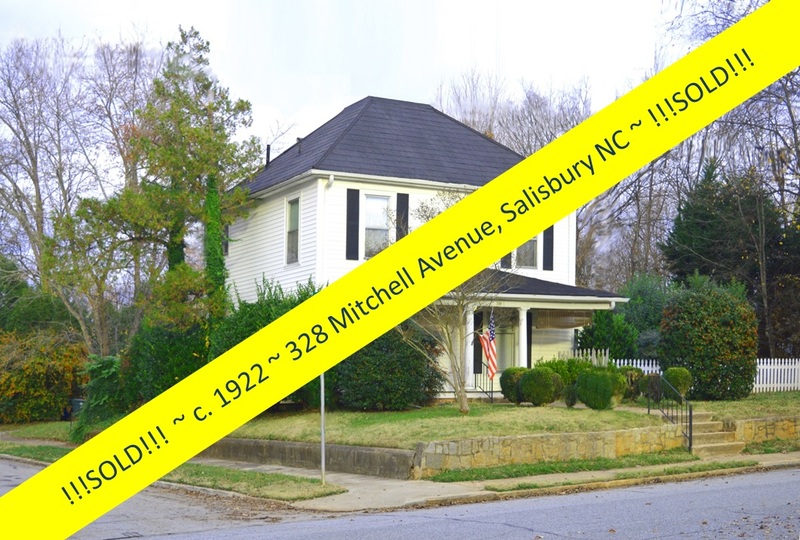 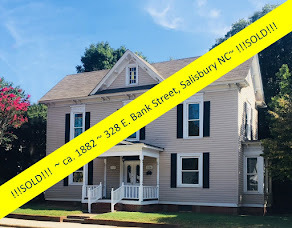 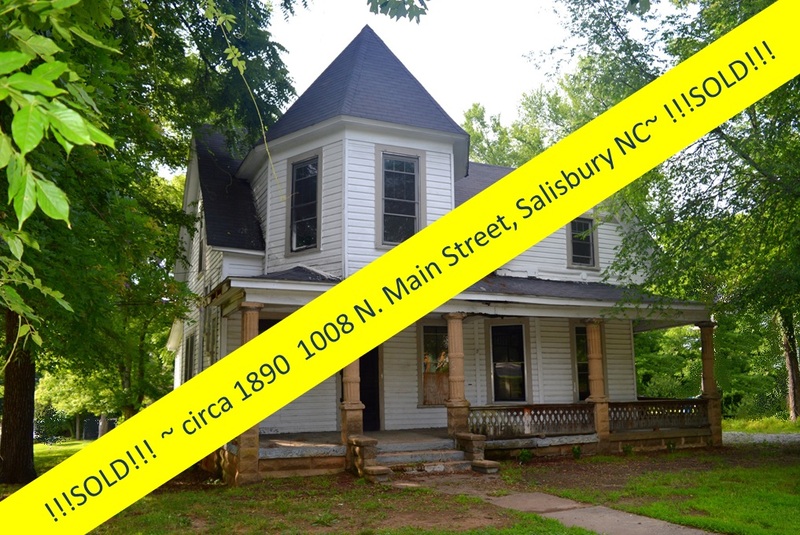 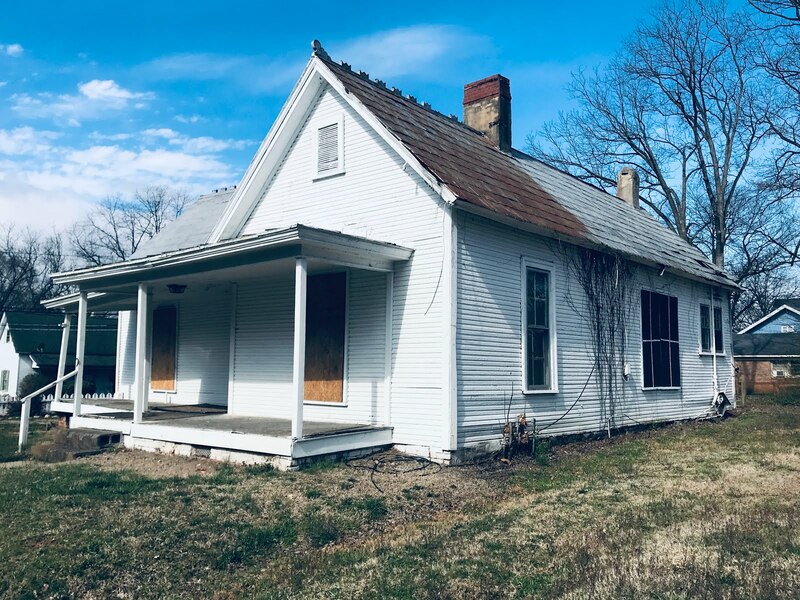 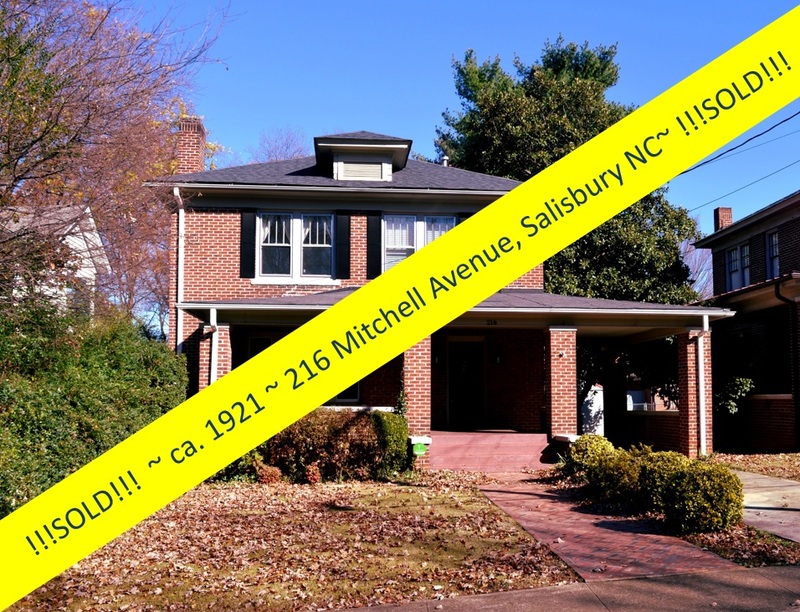 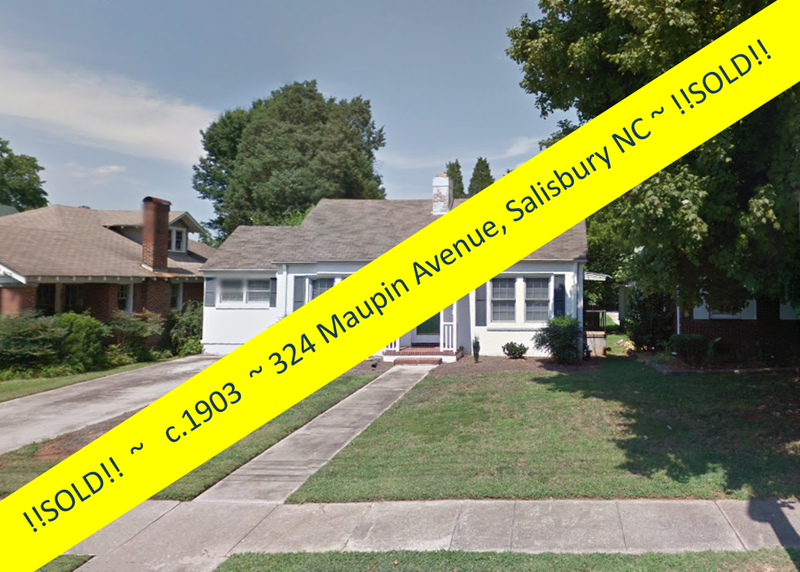 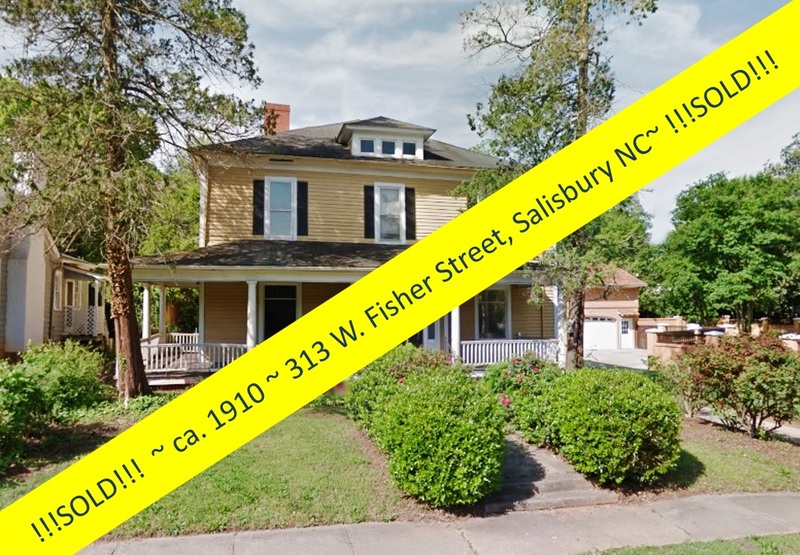 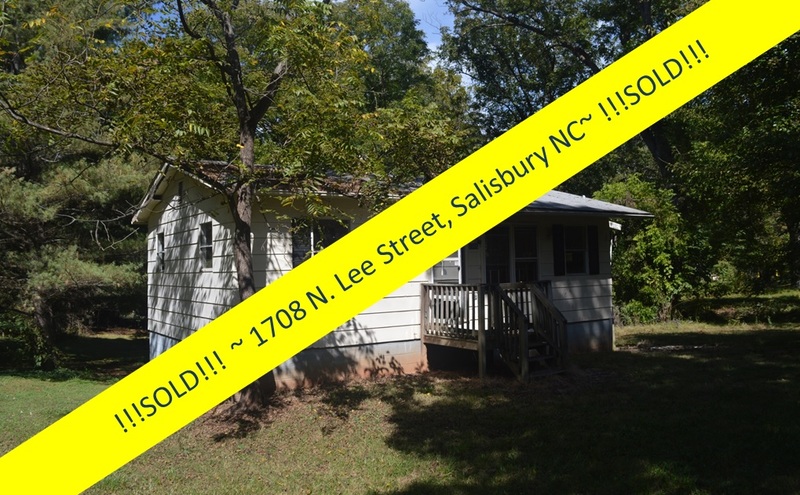 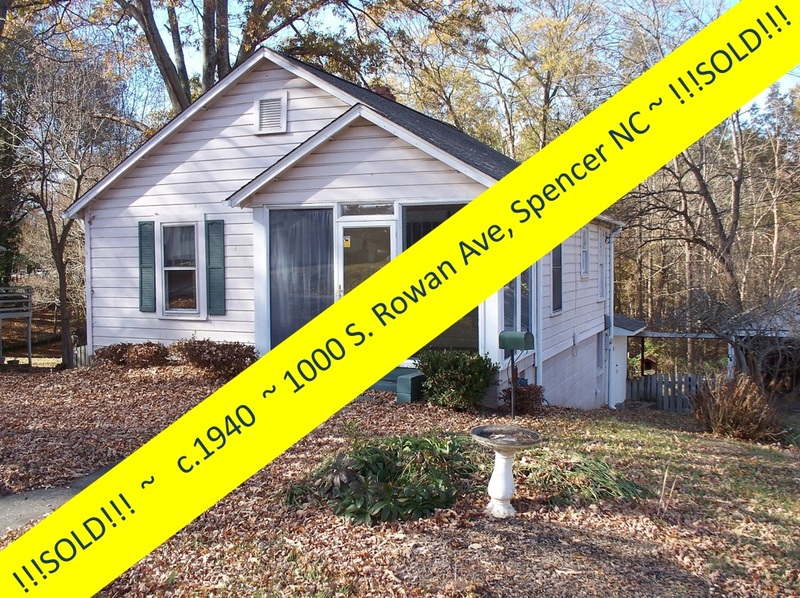 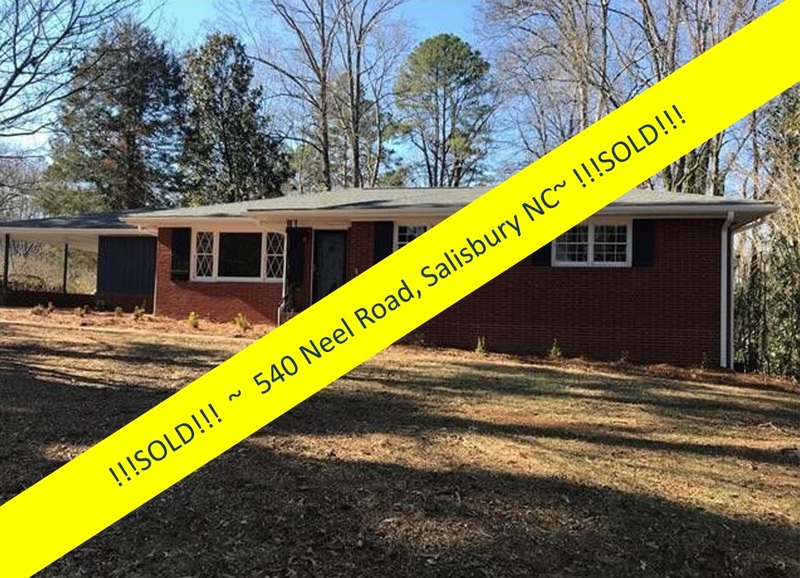 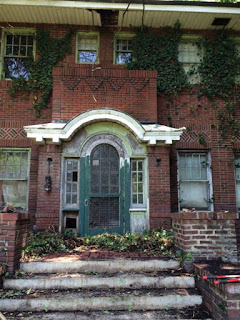 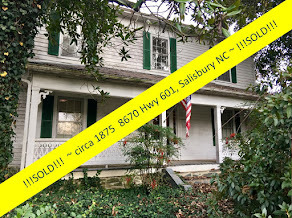 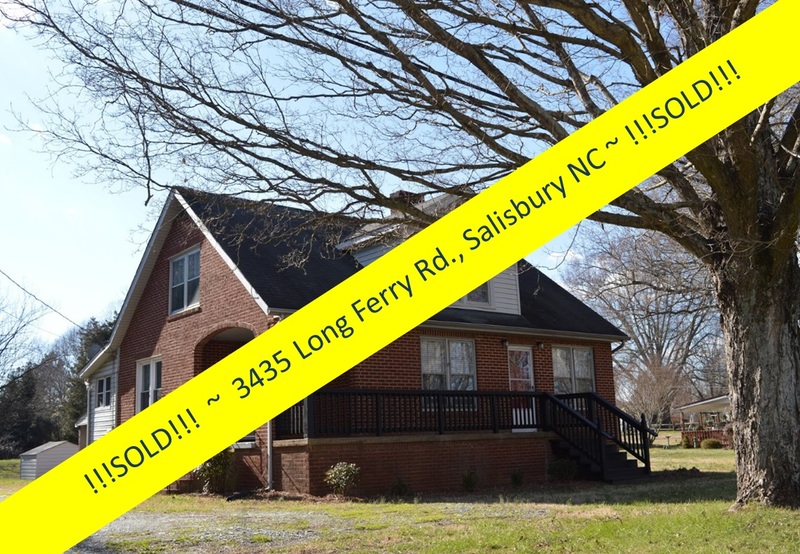 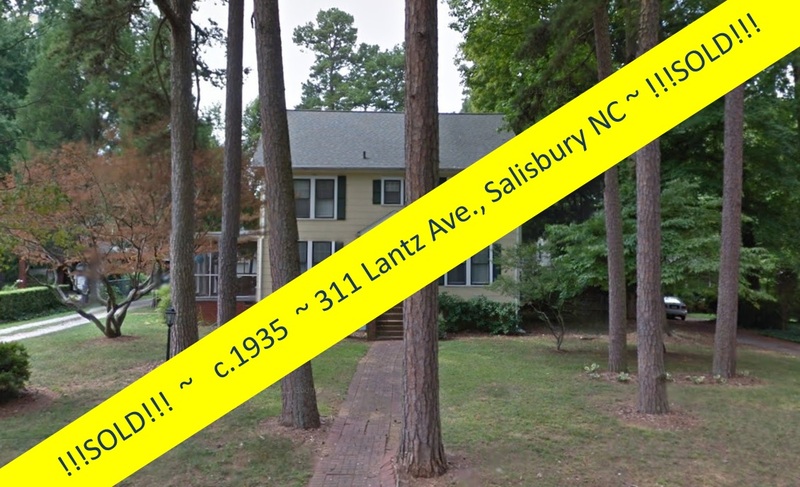 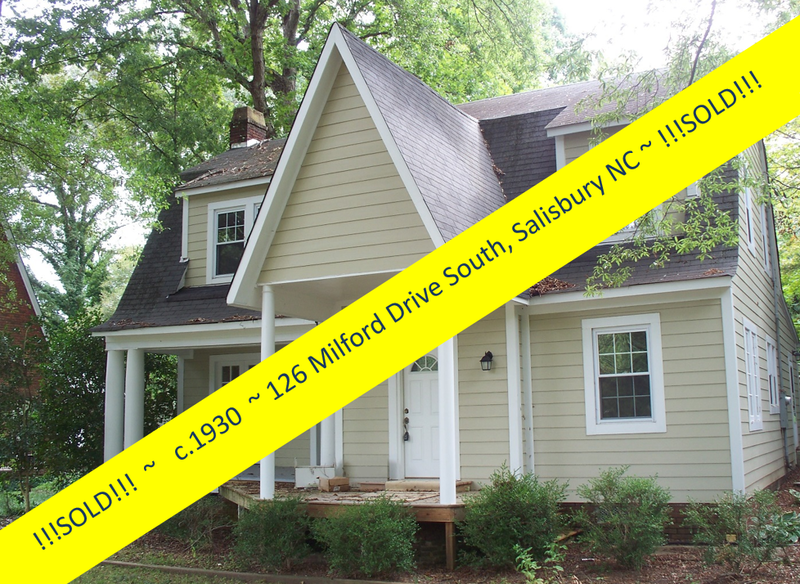 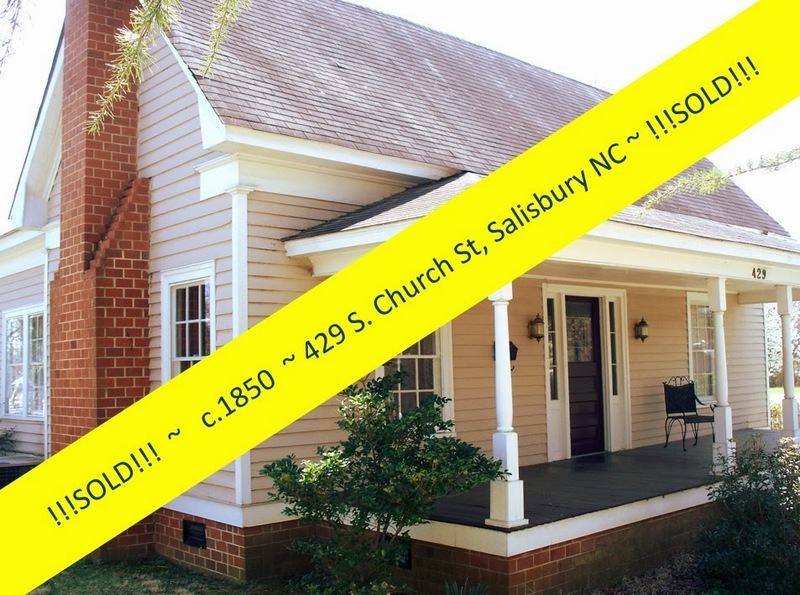 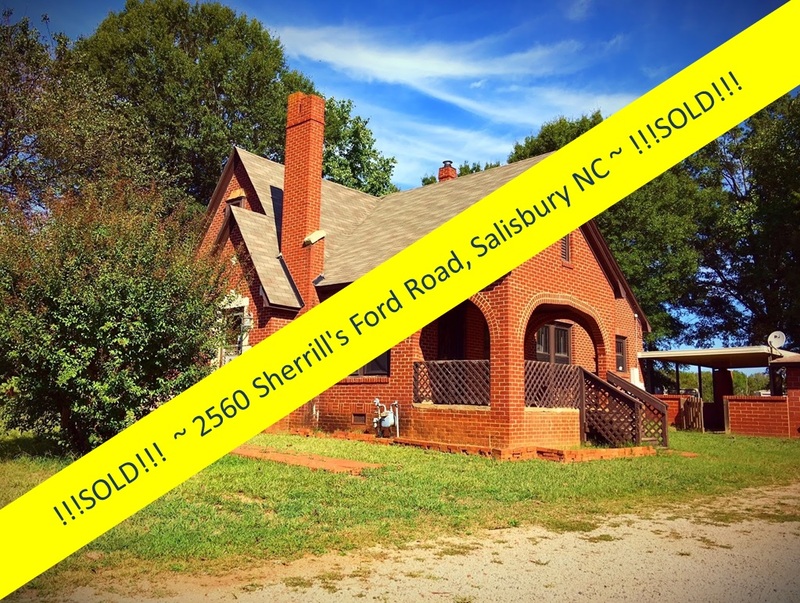 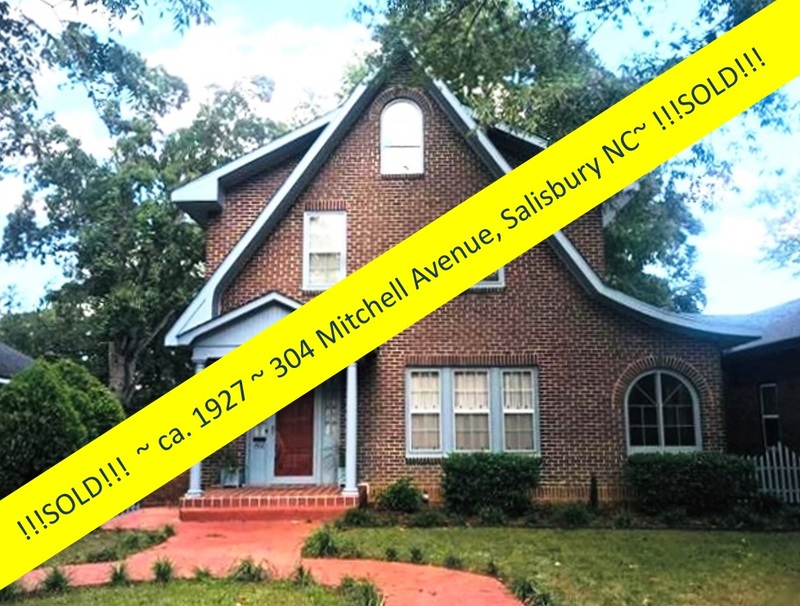 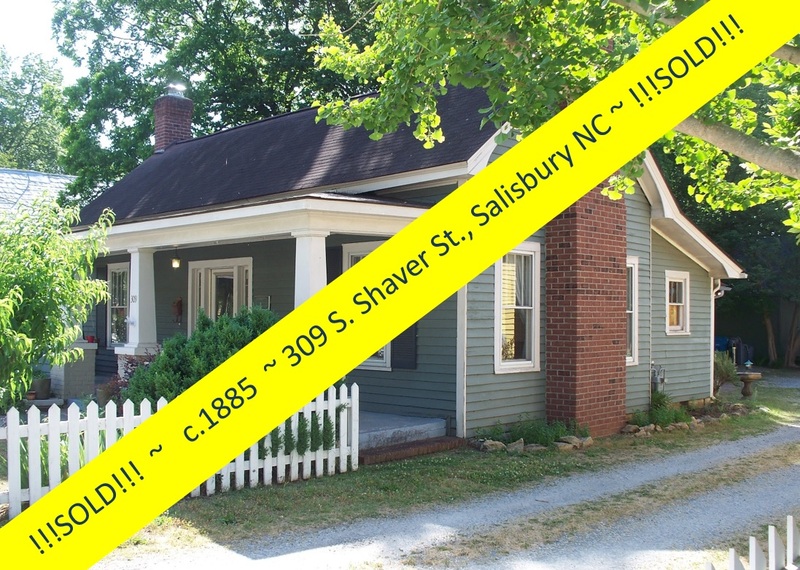 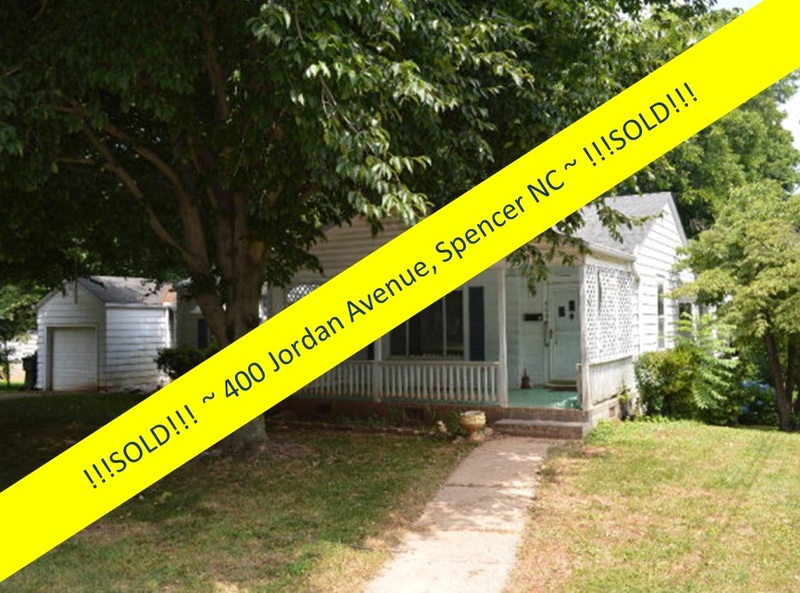 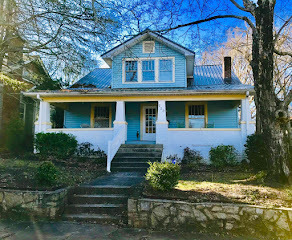 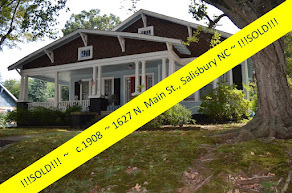 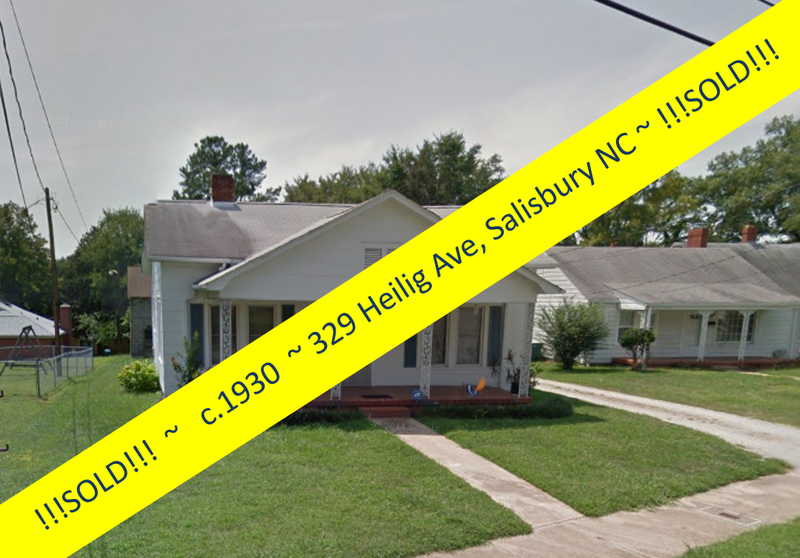 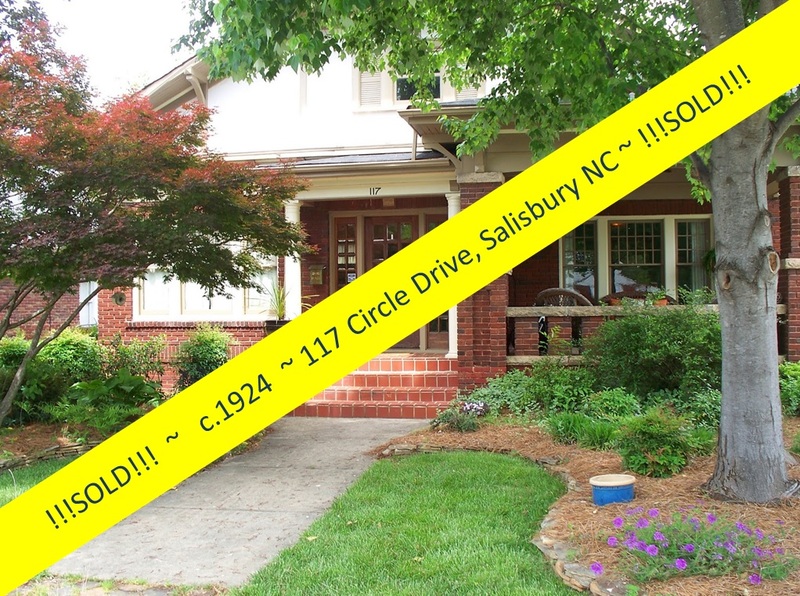 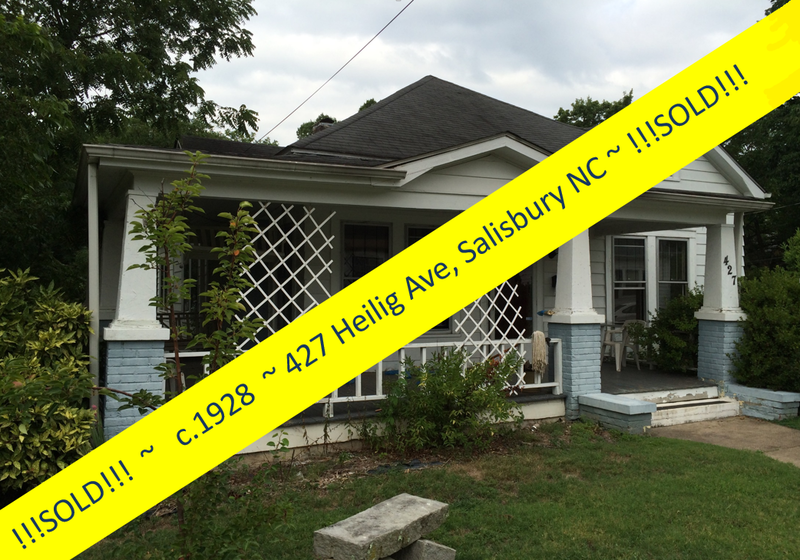 The newspaper and television articles are out there: The circa 1922 home at 128 W. Thomas Street in Salisbury, North Carolina has been saved. 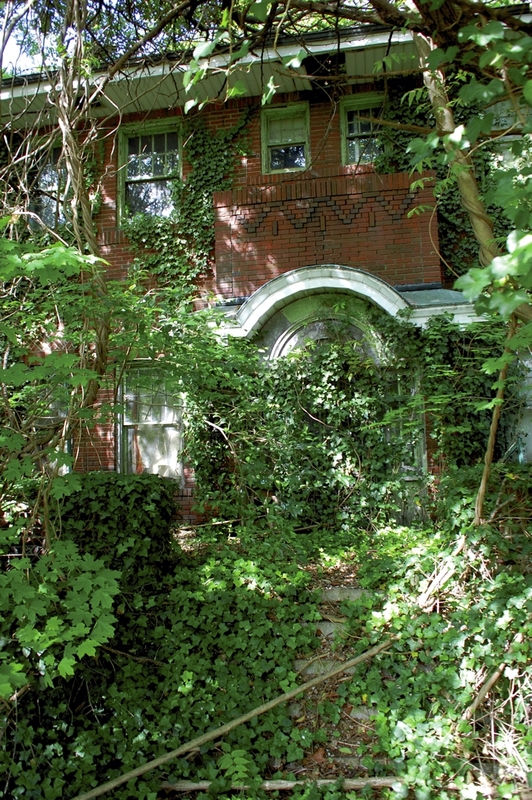 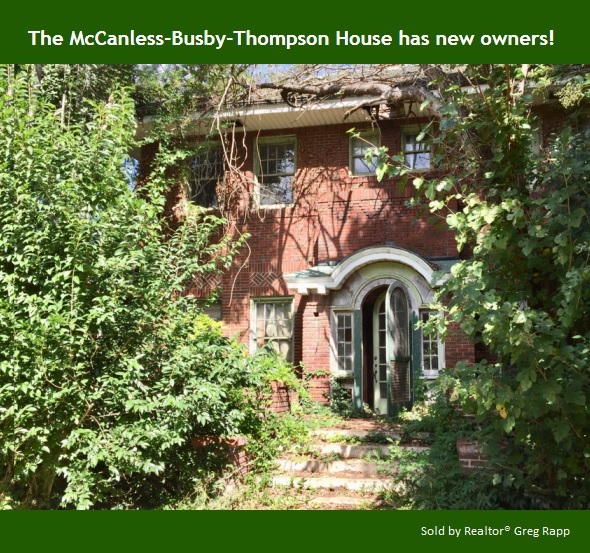 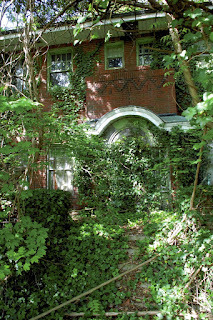 The McCanless-Busby-Thompson House...all but forgotten, and in fact invisible, completely enshrouded with vines, trees, and overgrown shrubs. 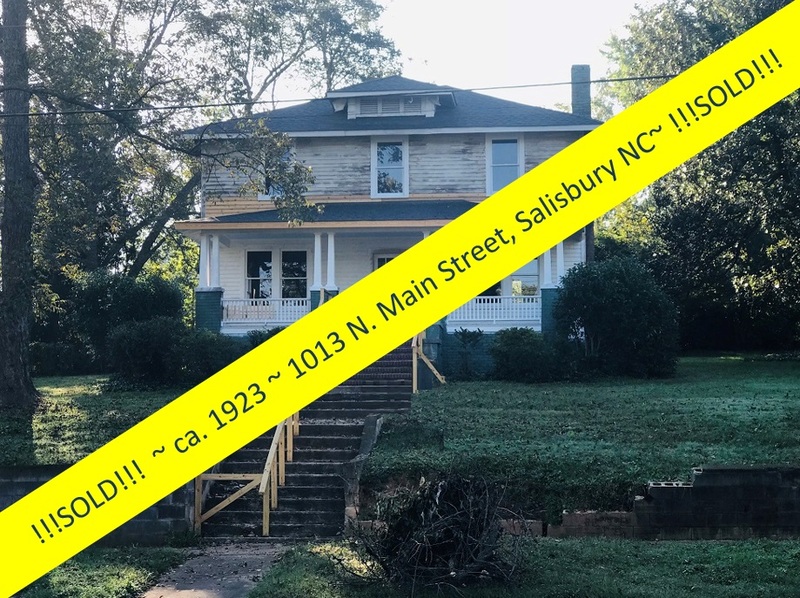 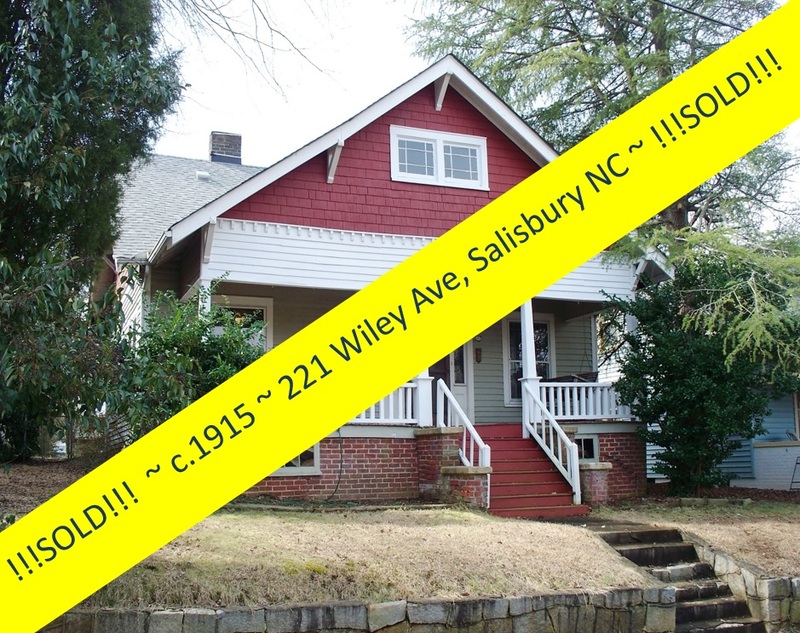 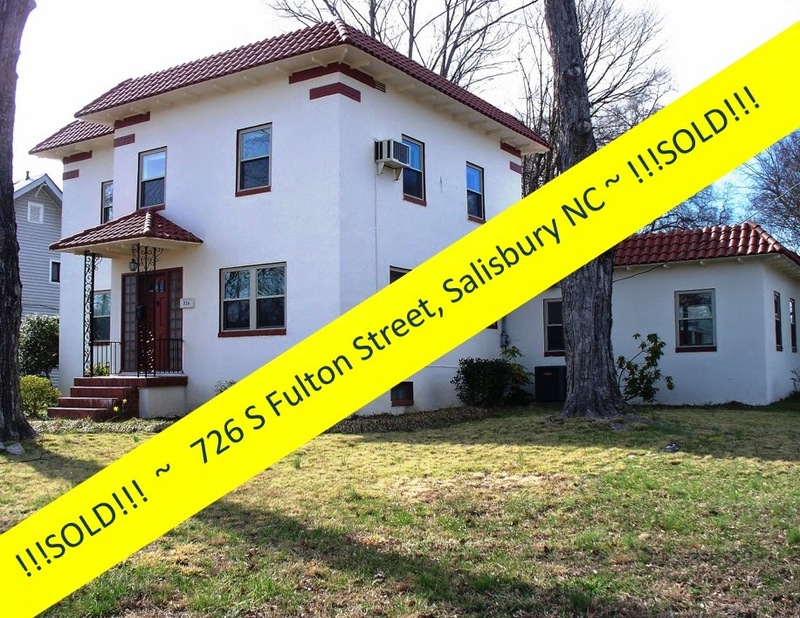 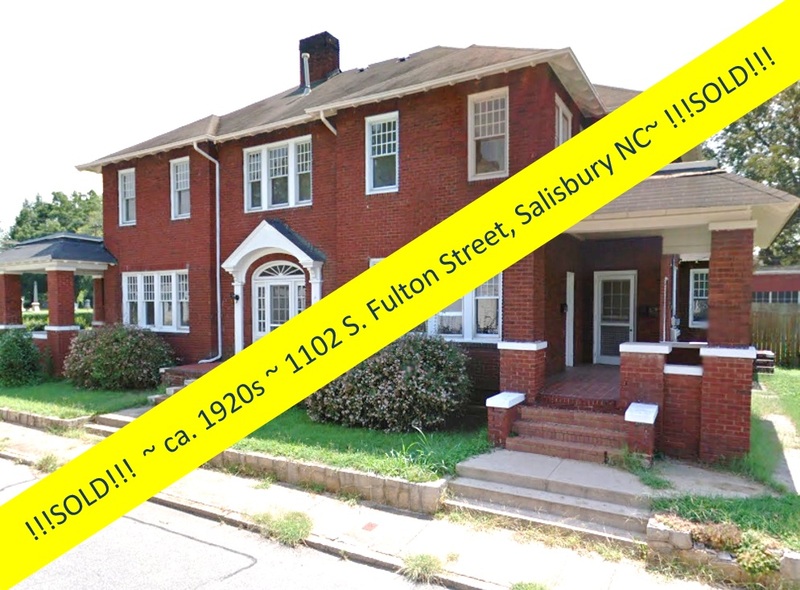 This grand home was unearthed by the Historic Salisbury Foundation...in time for the City of Salisbury's Code Enforcement Department to step up and declare the house 'demolished by neglect' and order its final demolition. 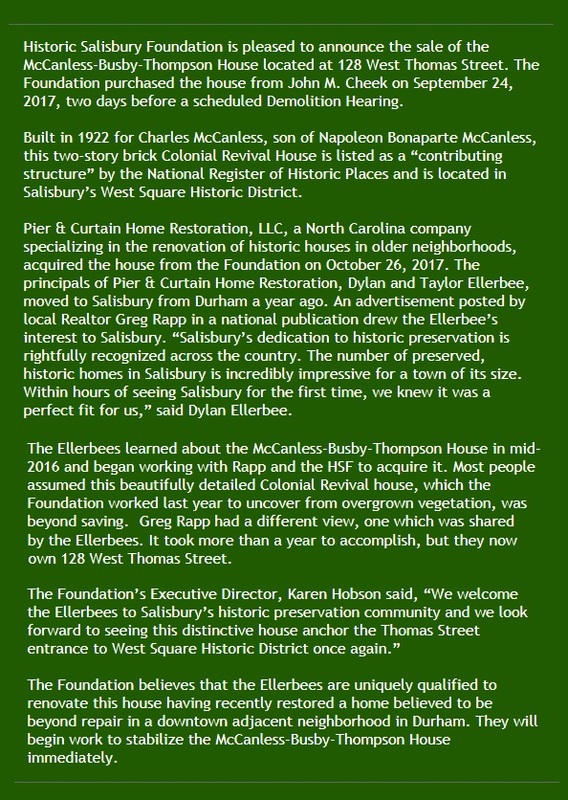 "The Historic Salisbury Foundation finalized a deal September 26, 2017 to buy the 95-year-old home for an undisclosed price. Two more days and the city was set to discuss tearing it down for being a threat to the community." 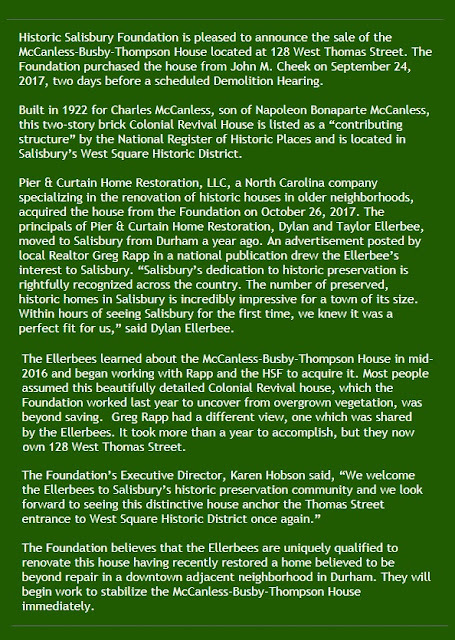 "Edward Clement, trustee of Historic Salisbury Foundation, was elated saying: “this amazing last minute rescue saves an important house and helps protect a vital edge of the West Square Historic District." 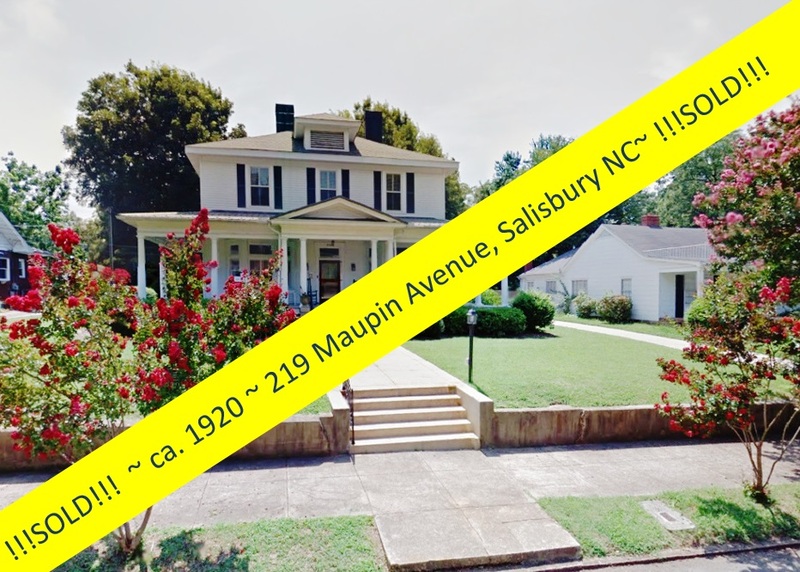 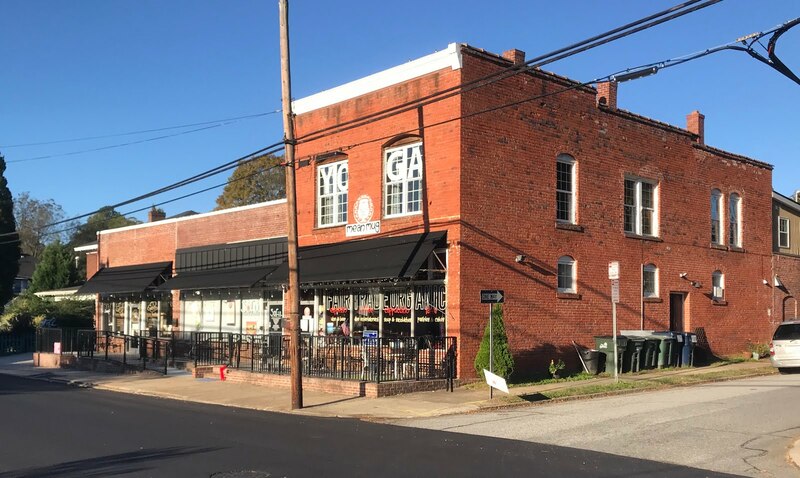 Greg Rapp, known for his preservation culture and historic home dealings, recognized the impact losing a home of this stature at the gateway to one of Salisbury's most prestigious historic districts would present. 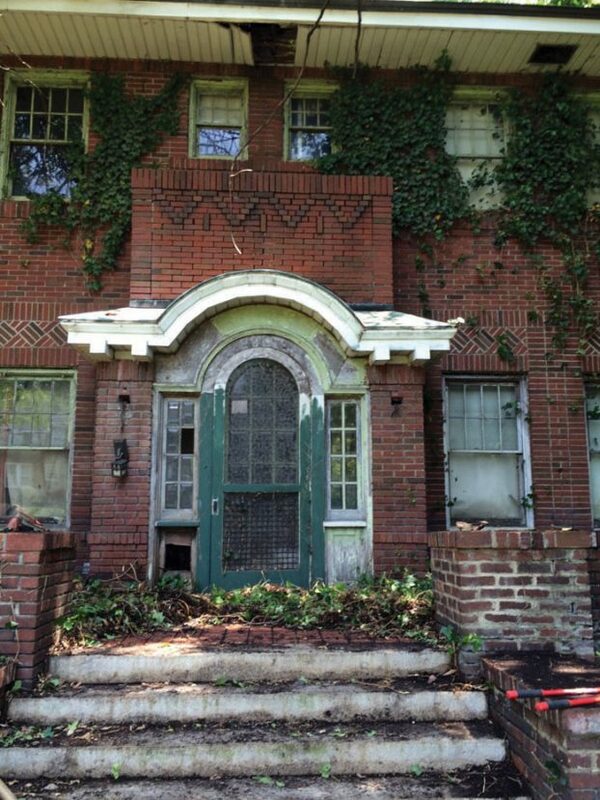 Yes, the challenges here are real, with crumbling roof and walls, compounded with hoards of neglect inside. 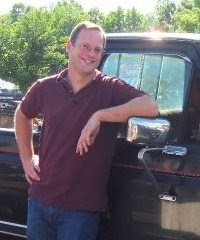 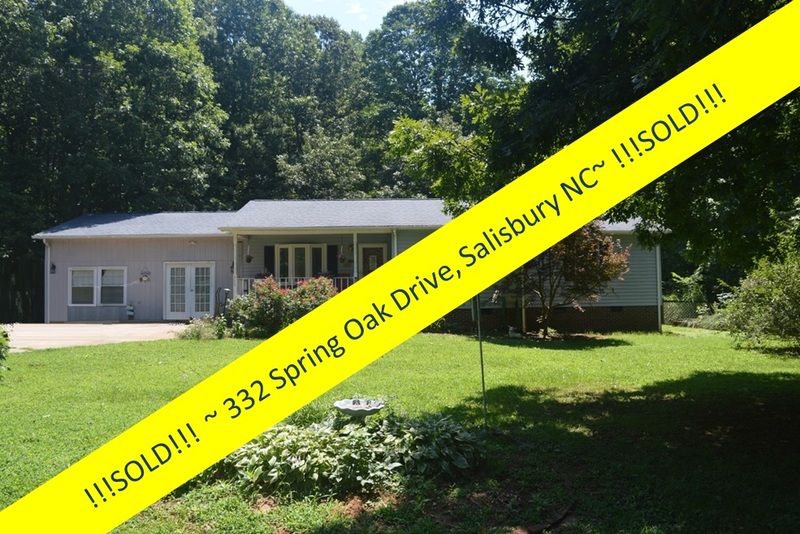 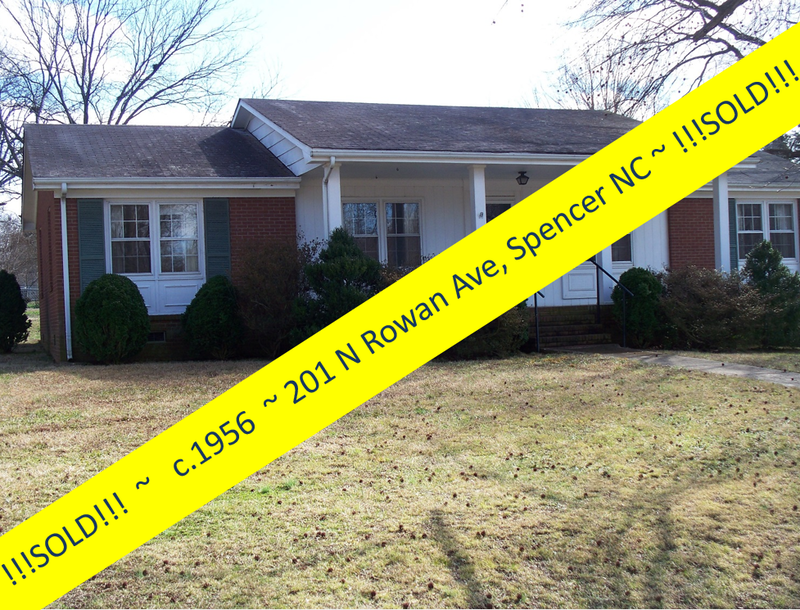 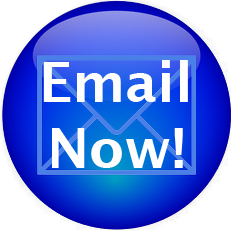 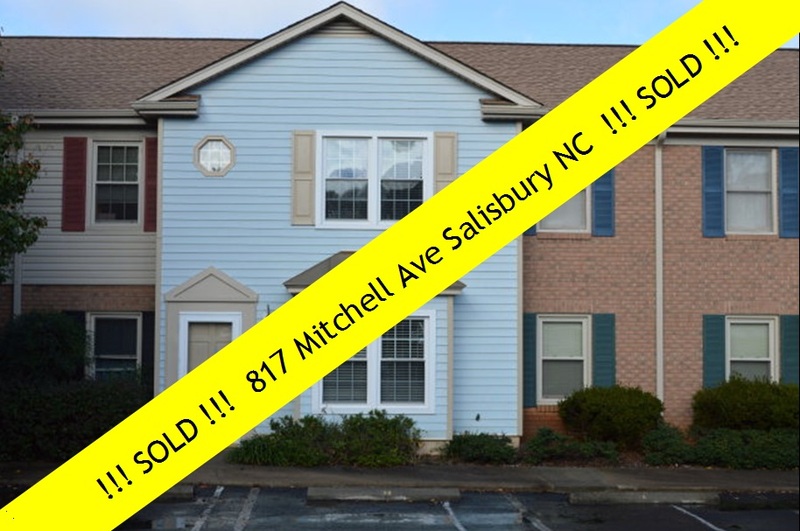 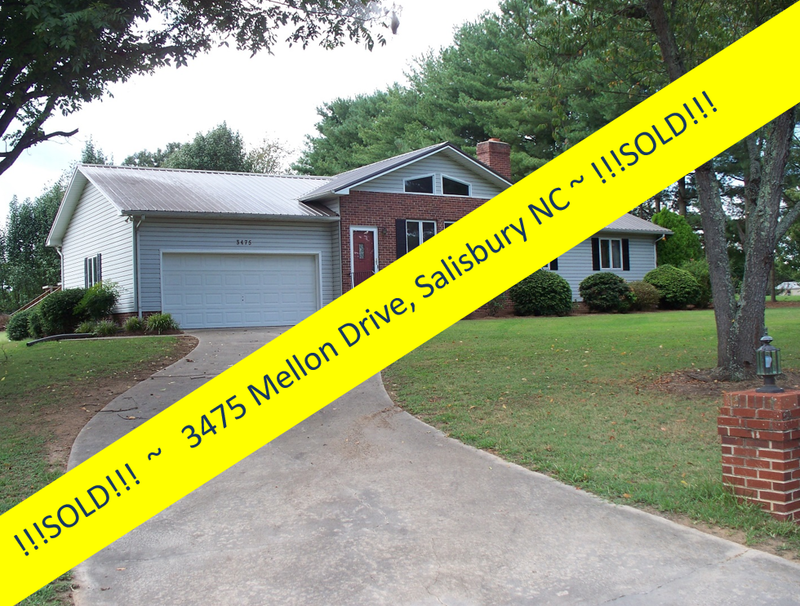 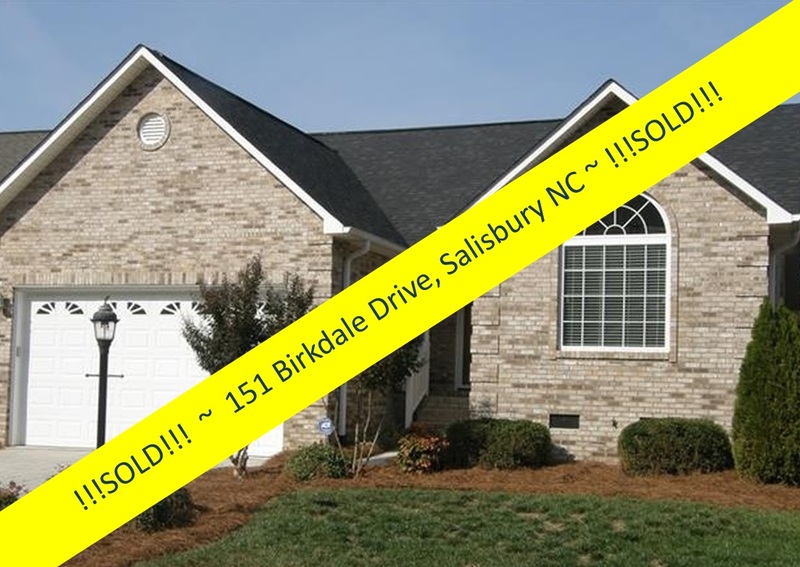 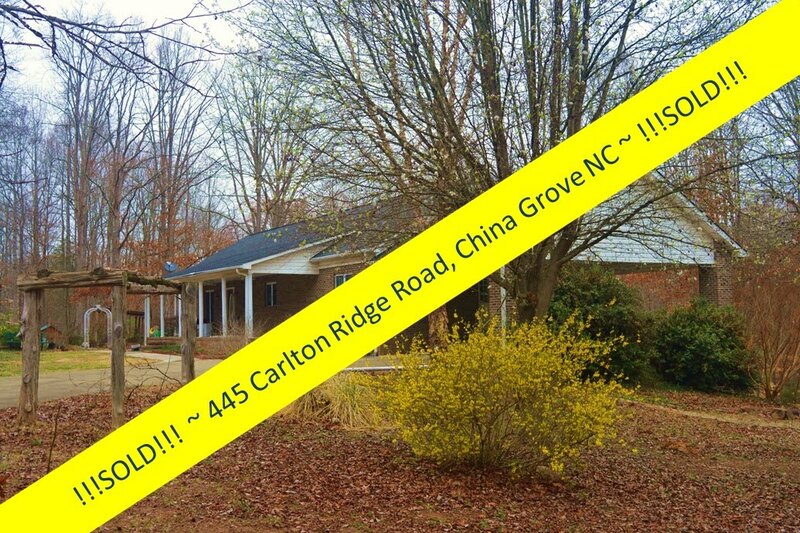 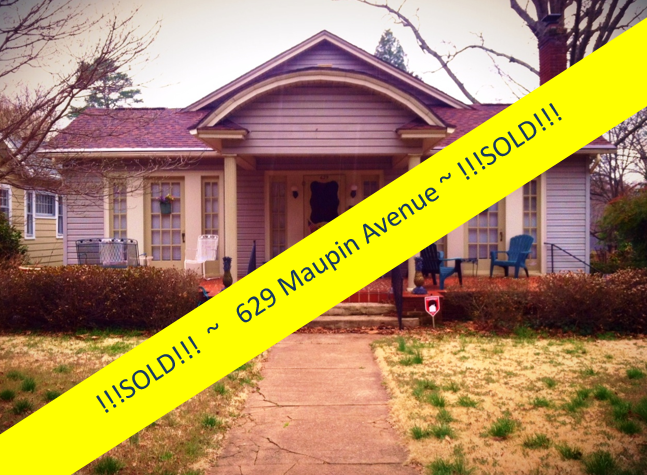 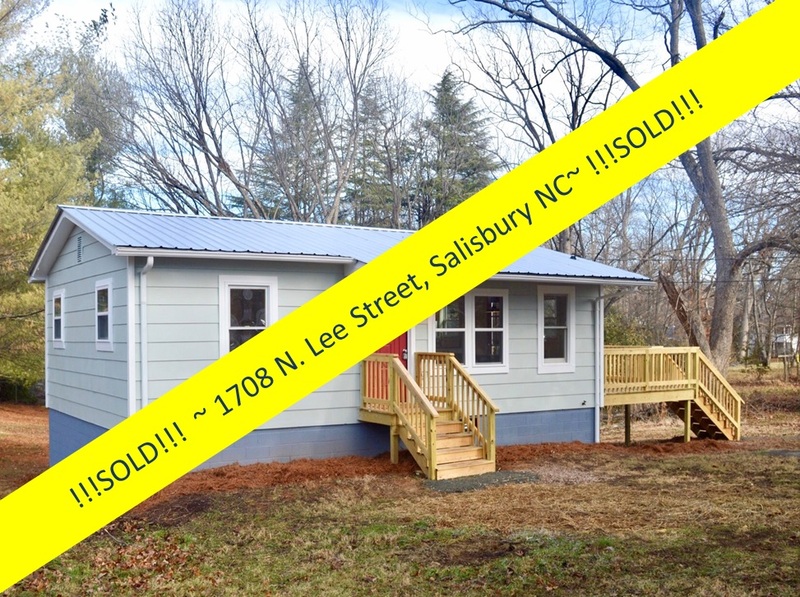 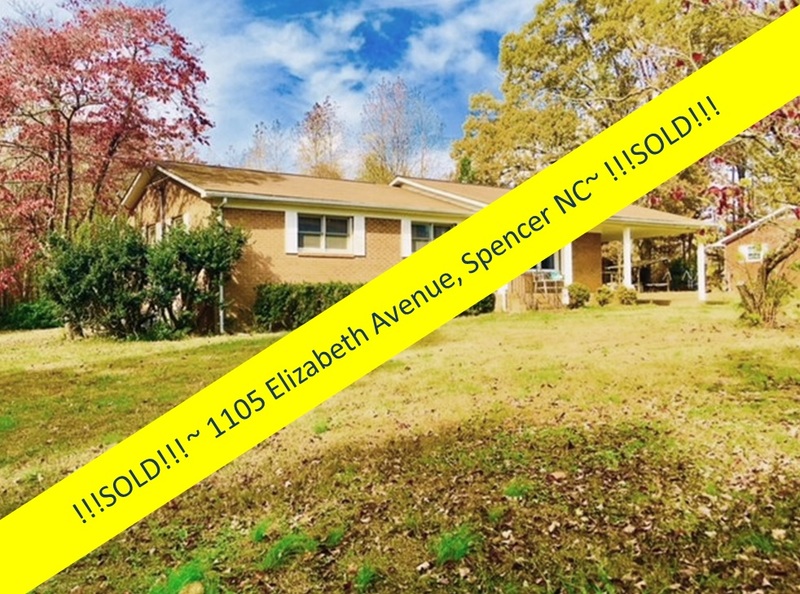 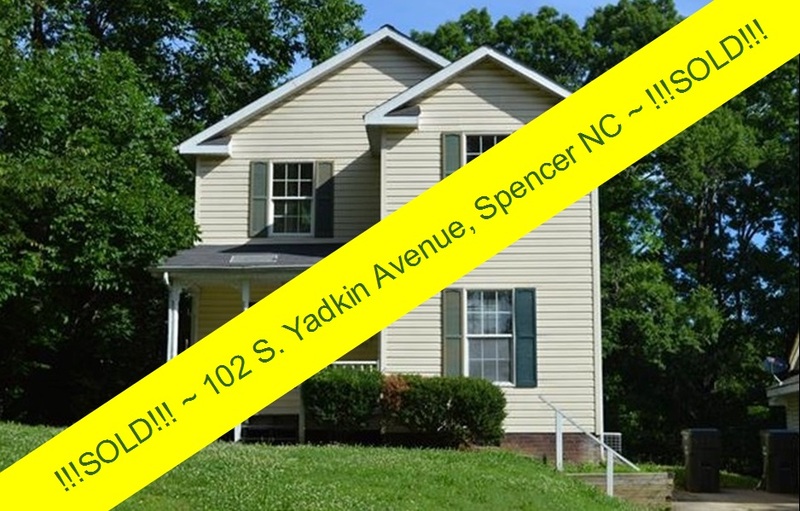 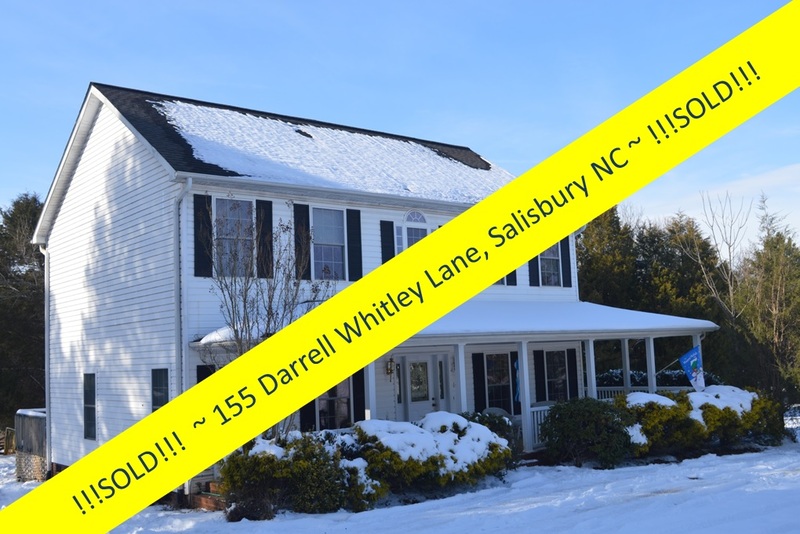 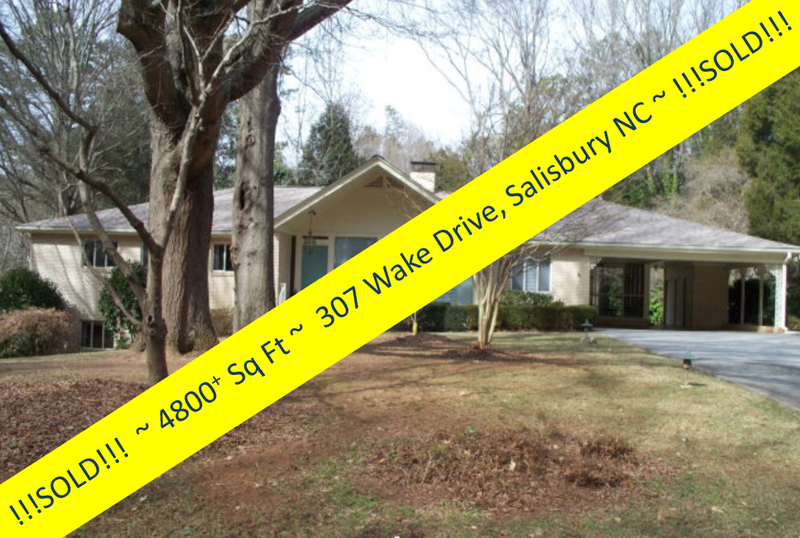 Rapp,real estate agent with Wallace Realty, worked diligently to find a buyer for this home. 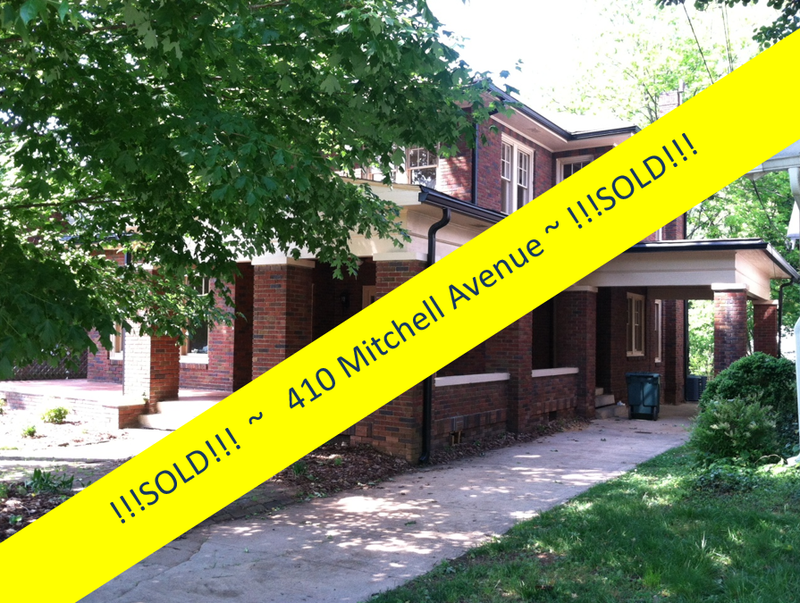 After months of working with Code Enforcement and the Foundation, Greg brought the enthusiastic buyer to the table. 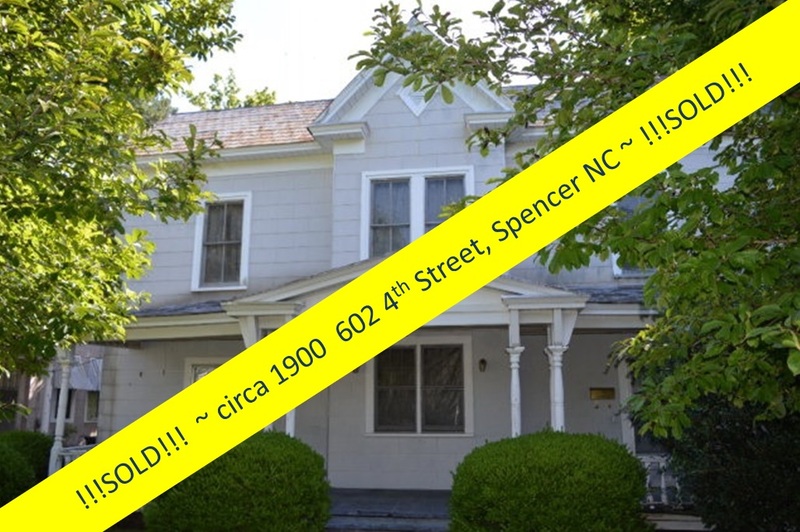 This, for Rapp, was not a commission deal, but an act of pure preservation for the historic structure and homage to the neighborhood from the heart. 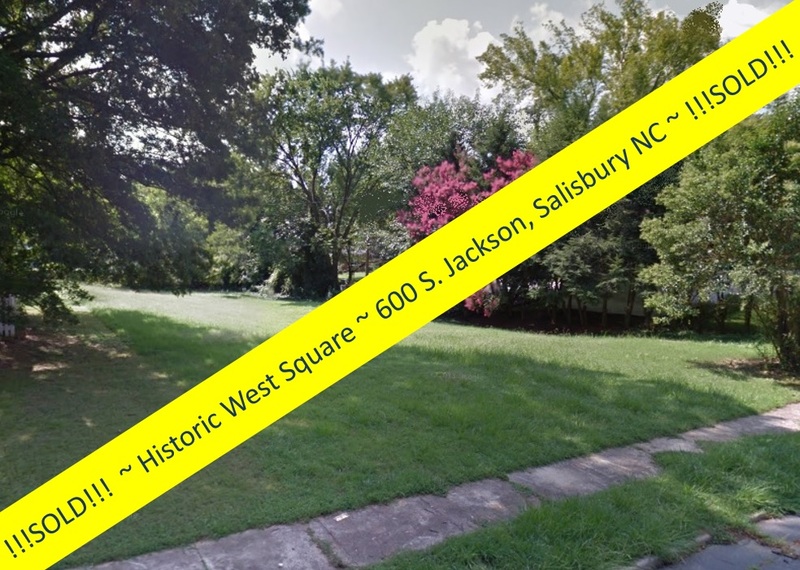 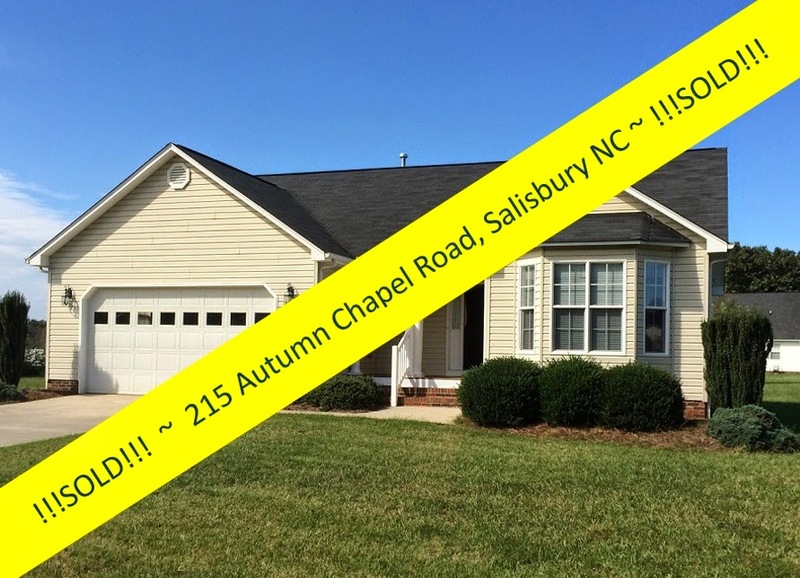 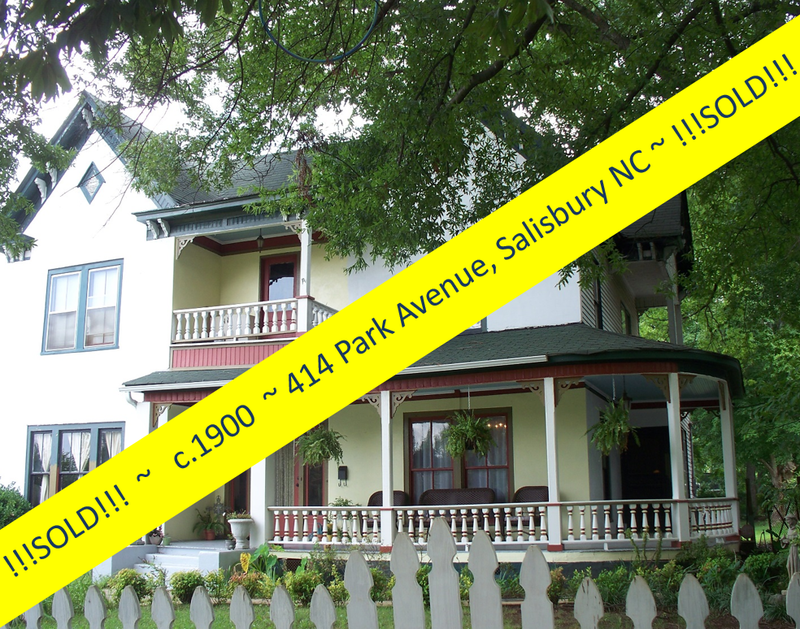 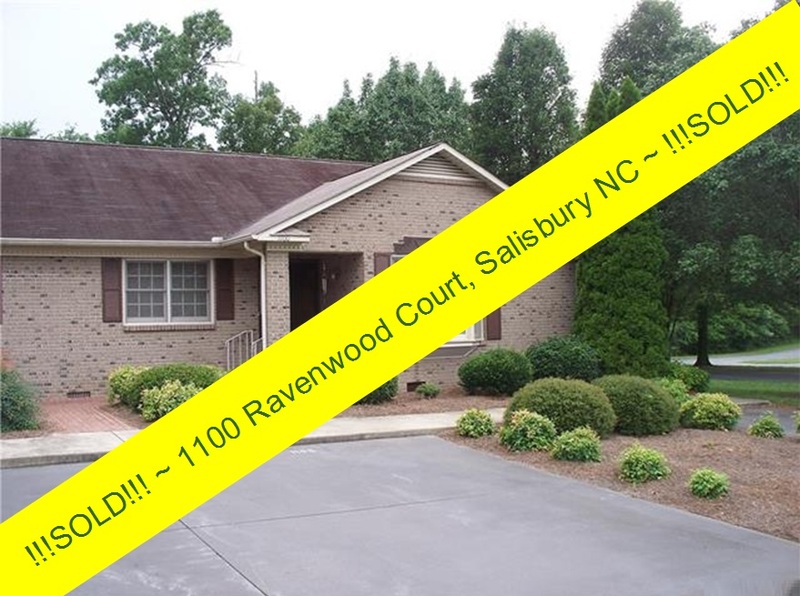 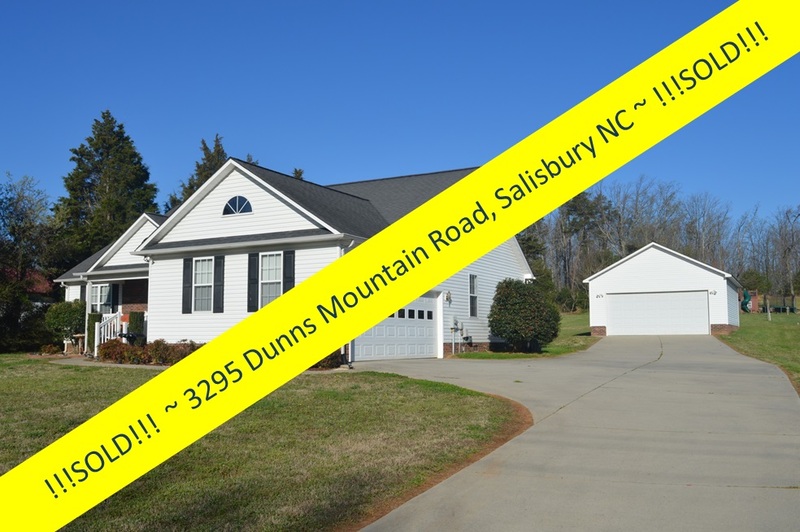 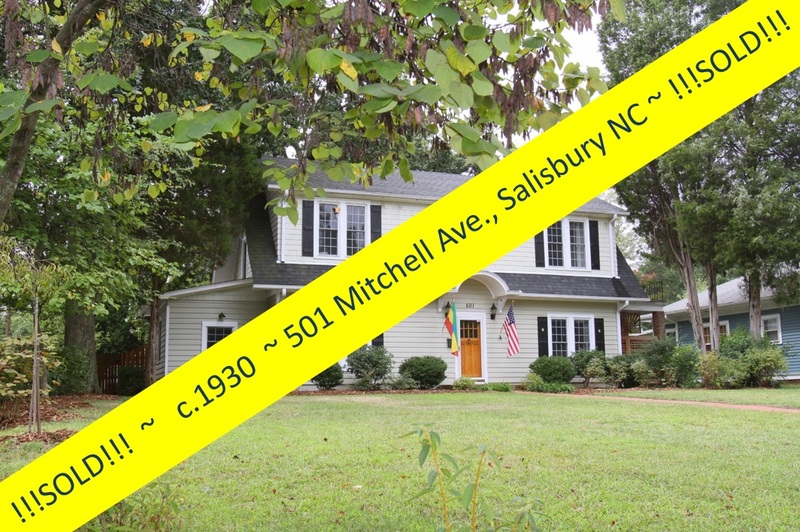 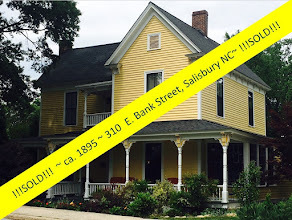 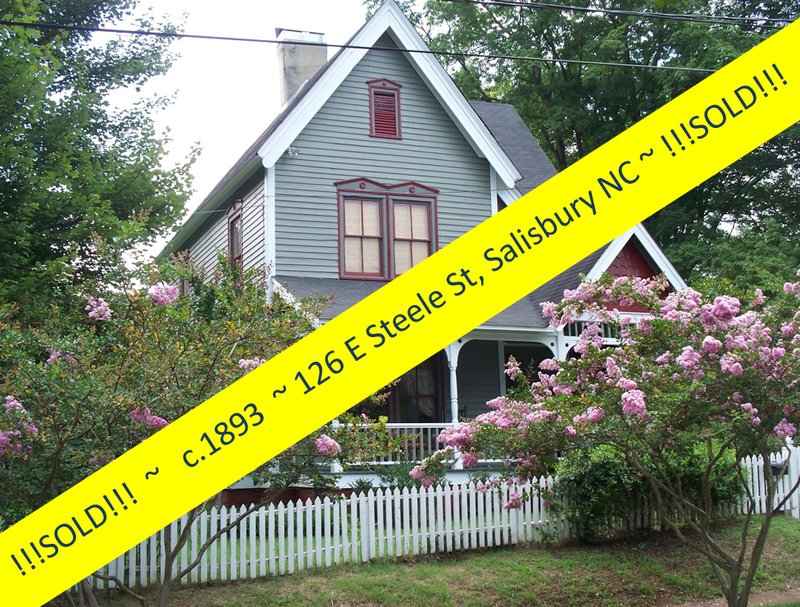 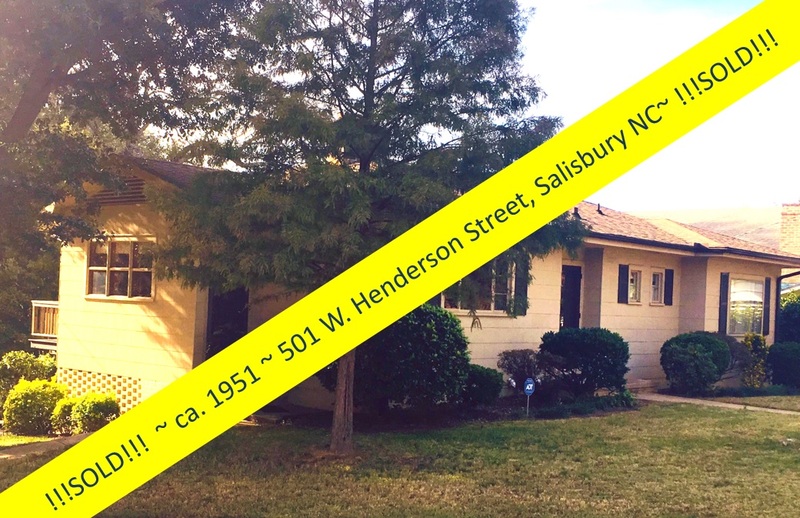 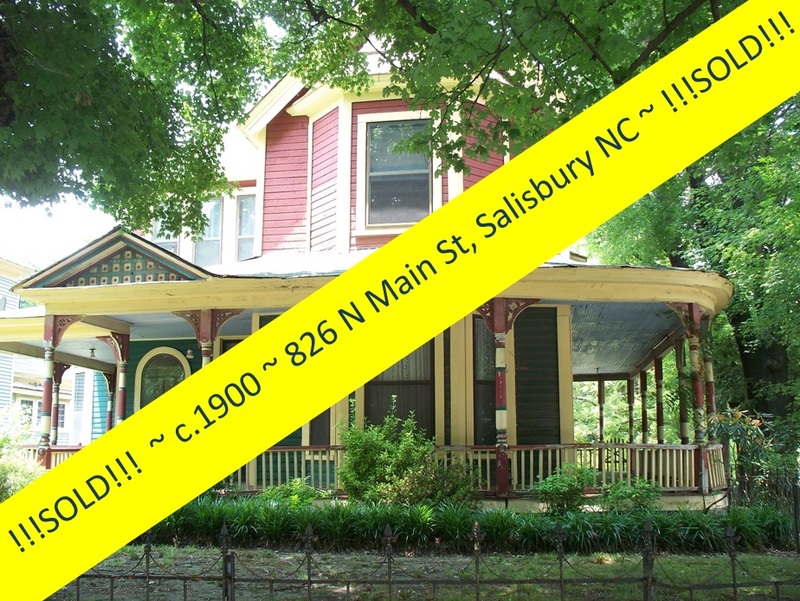 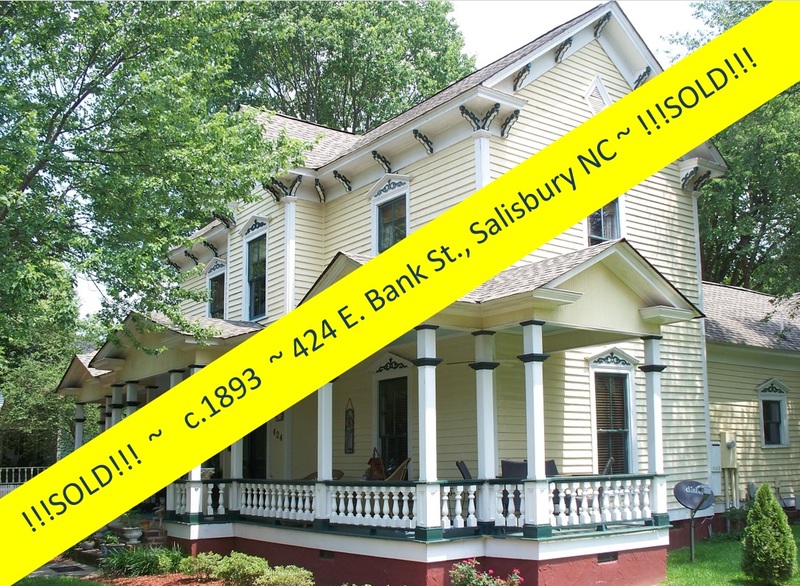 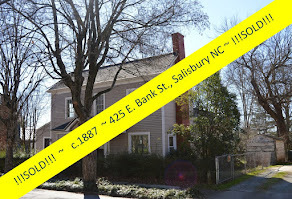 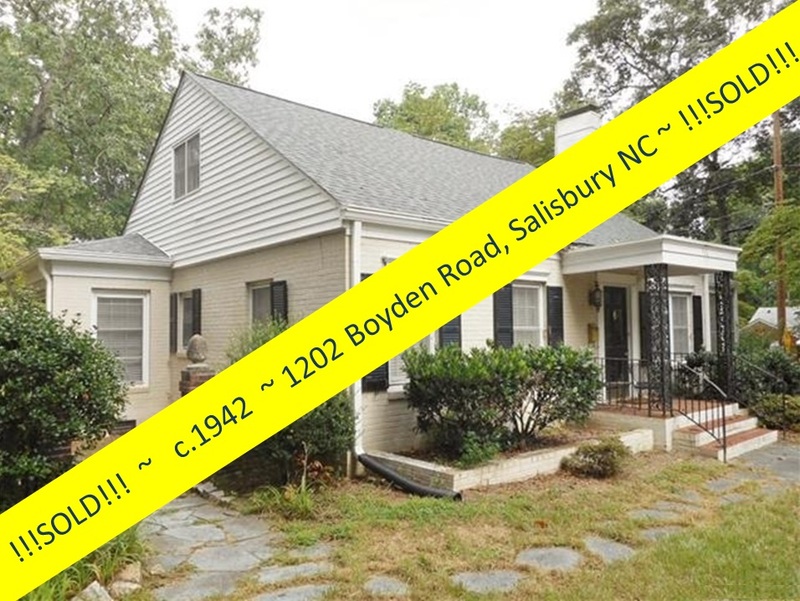 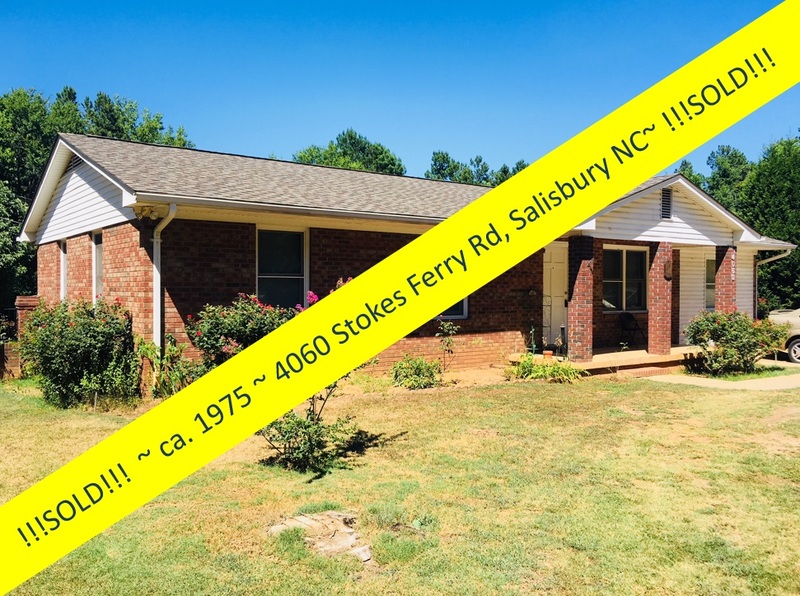 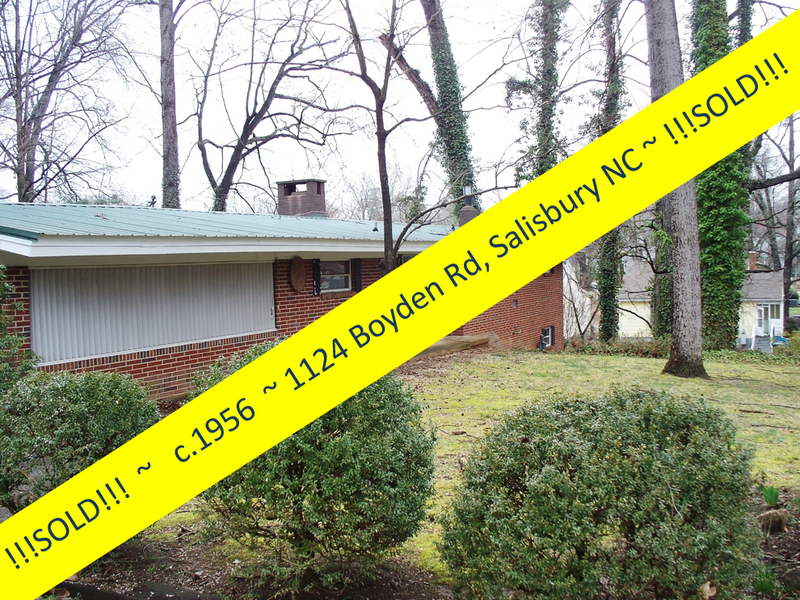 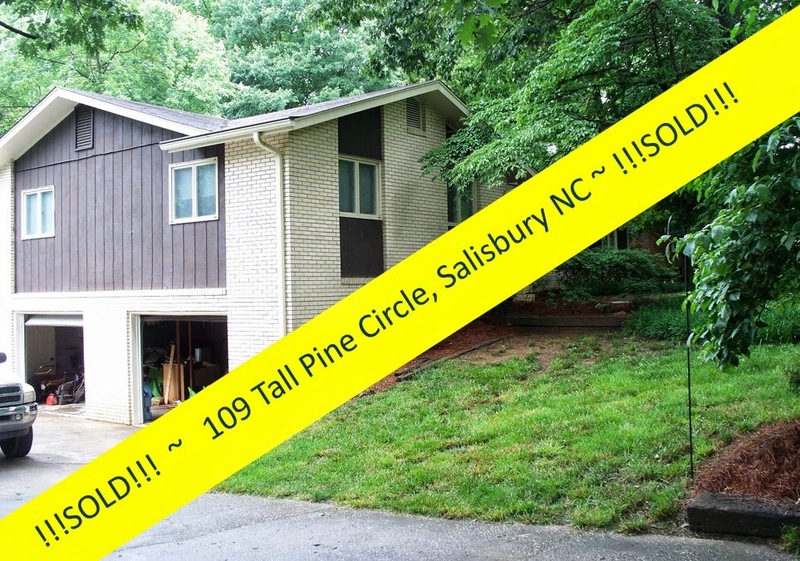 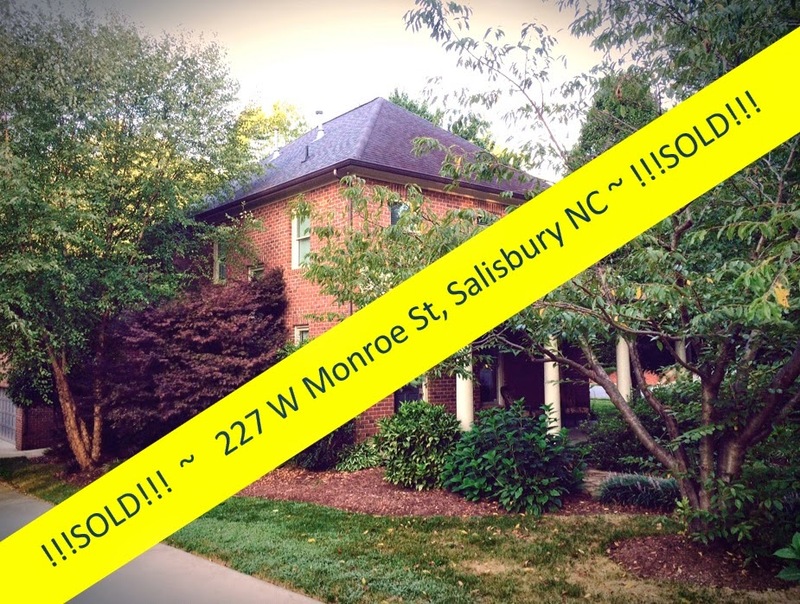 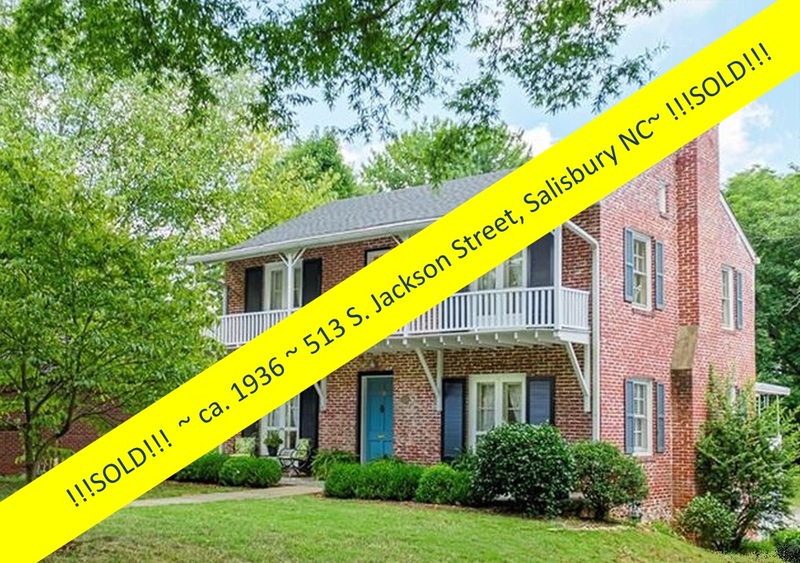 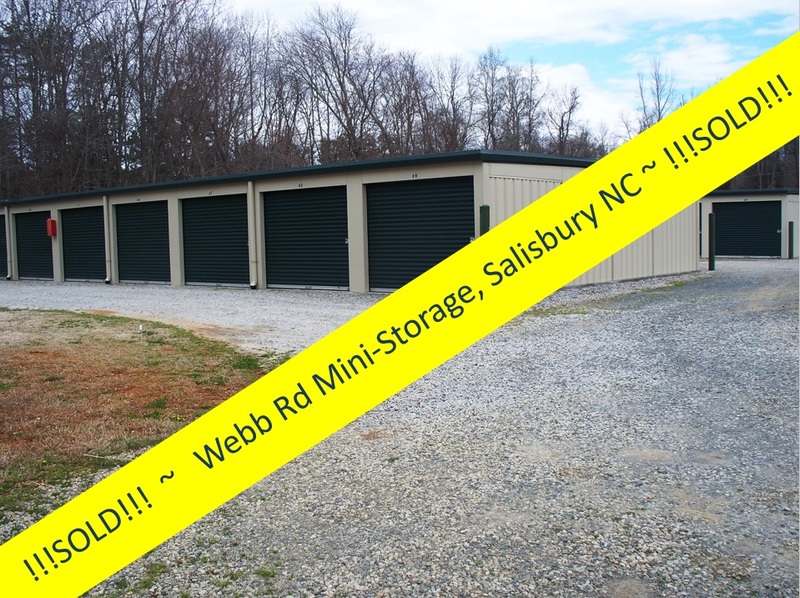 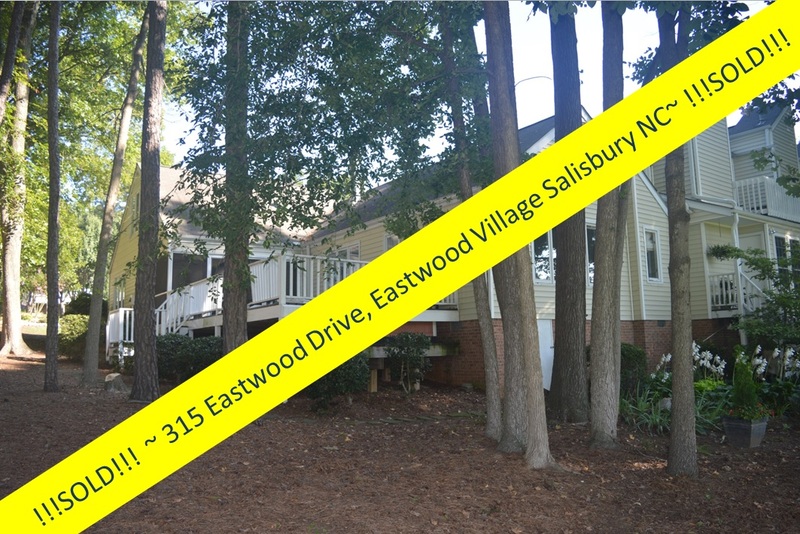 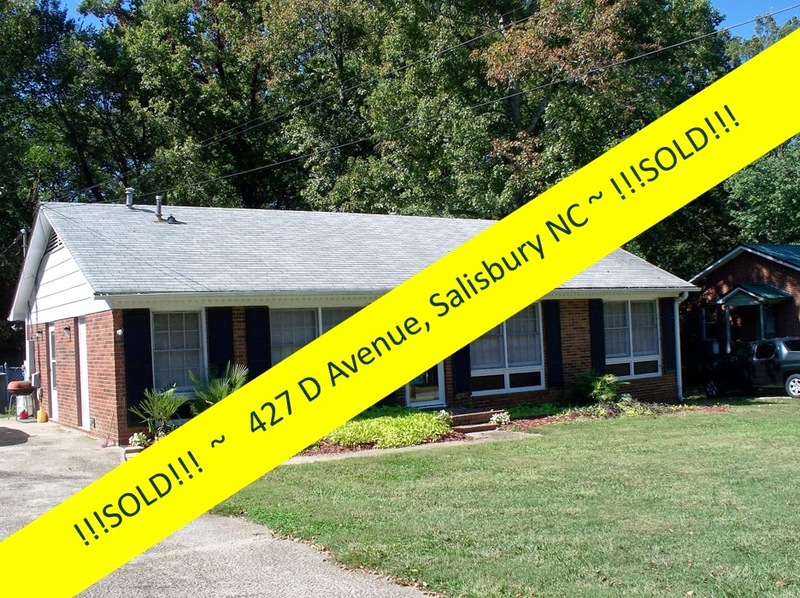 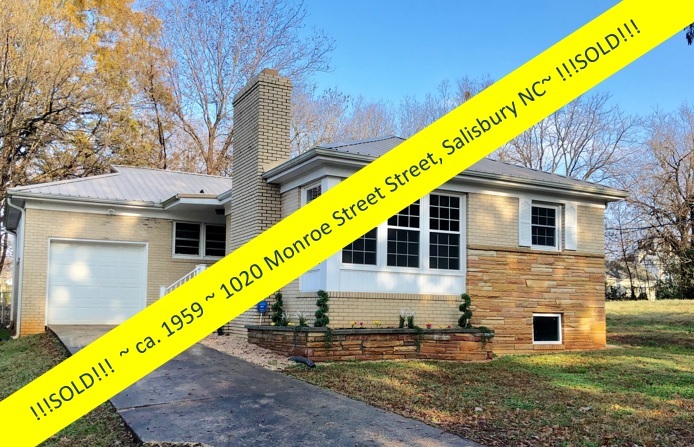 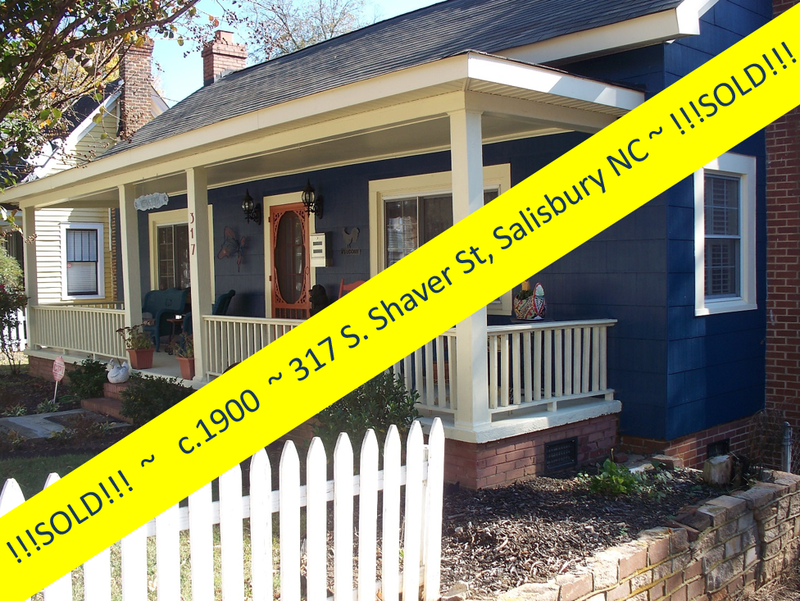 Rapp says, "This house is at the gateway to the West Square Historic District in Salisbury. 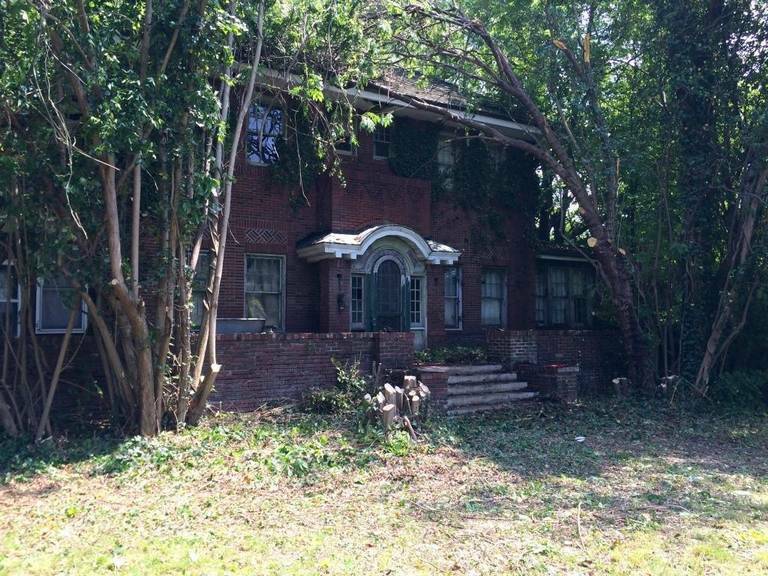 It cannot be torn down. 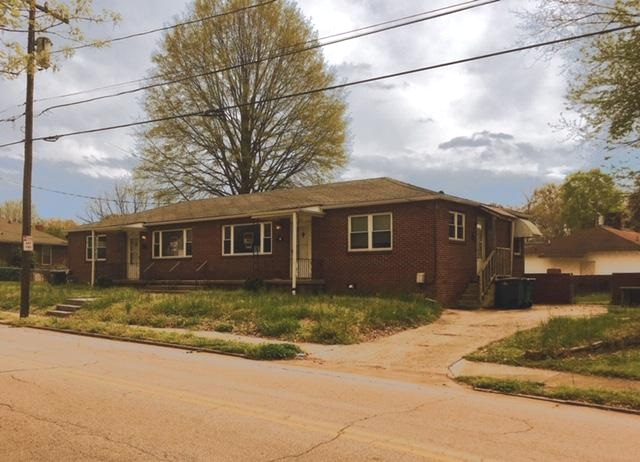 An empty lot decreases all the surrounding property values, when the potential still exists - no matter how challenging - that this property could be saved and revalued. 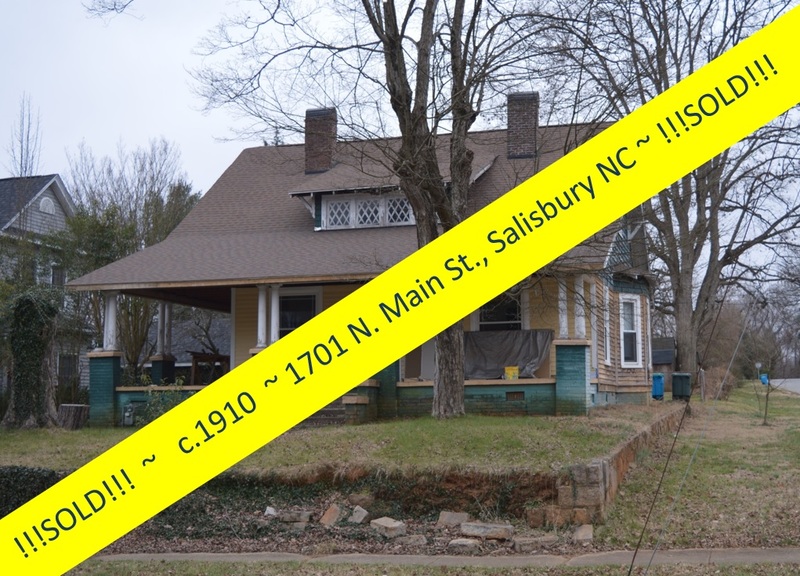 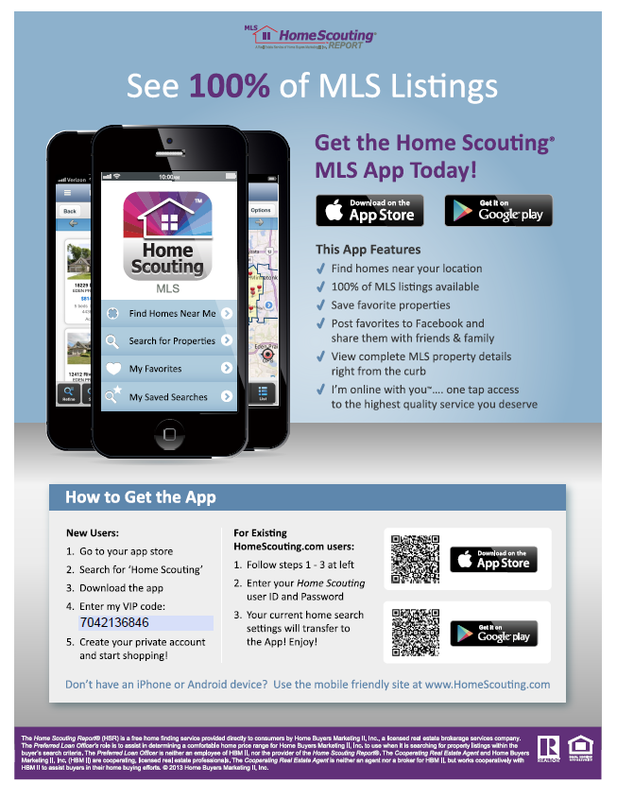 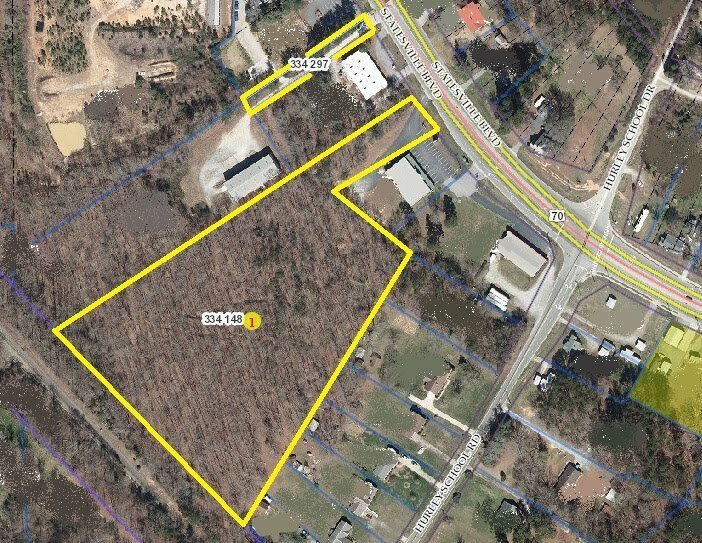 Do you want a $20,000 lot...or a $200,000 property?" 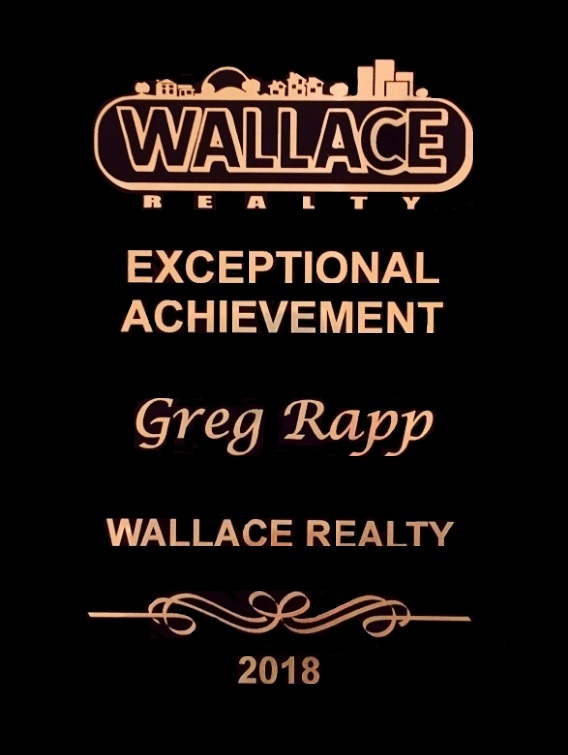 Greg's work at 128 W. Thomas Street has come to fruition, quietly and without fanfare. 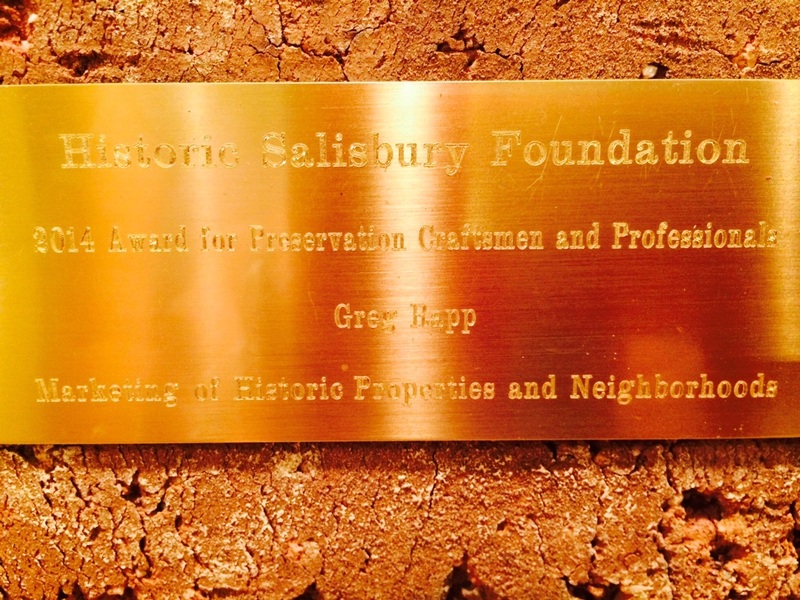 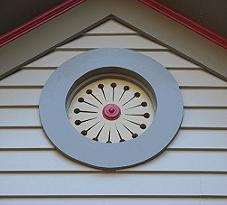 There is a reason why Greg's work with historic properties has earned him the very solid real estate and preservationist reputation he carries. 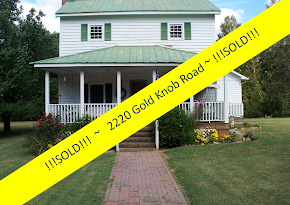 . . and it goes to the heart and soul of who he is, above and beyond the commission sale. 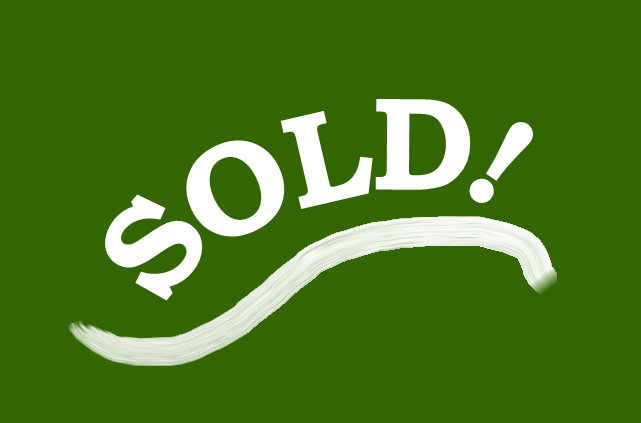 And the rest, friends, as they say, is history.